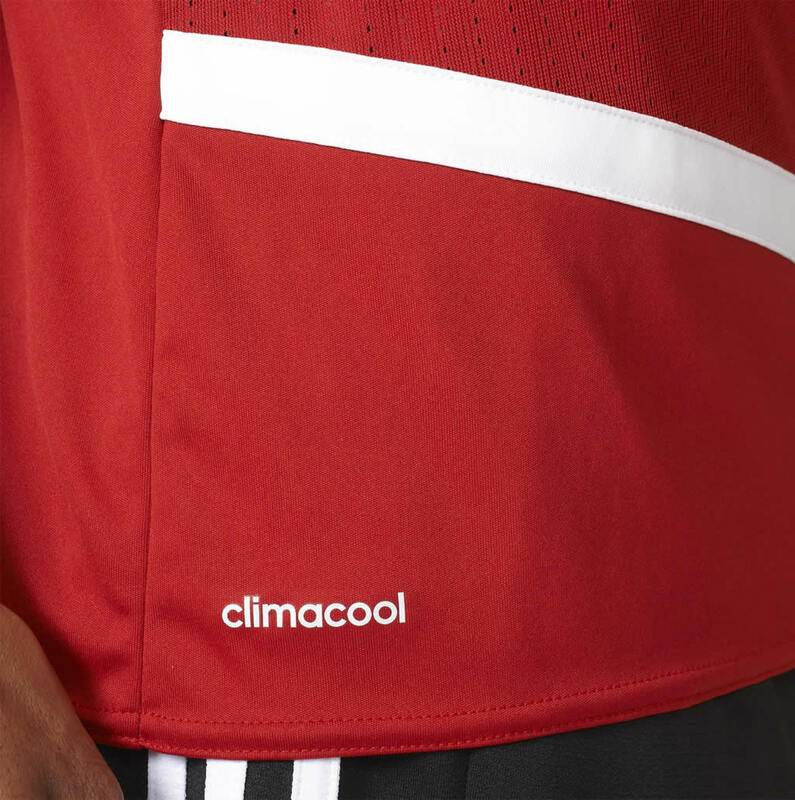 With the cold season almost upon us, it’s time to consider upgrading your winter soccer gear, and we’re here to give you some truly fantastic suggestions. 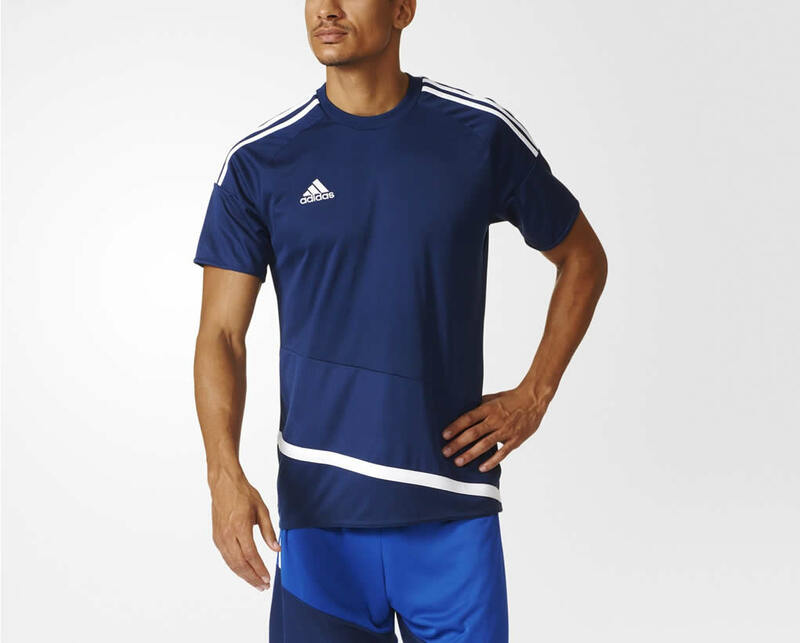 Playing in cold weather requires some special winter soccer apparel, as your body tends to behave differently when temperatures drop, not to mention that the playing field might suffer its own changes. 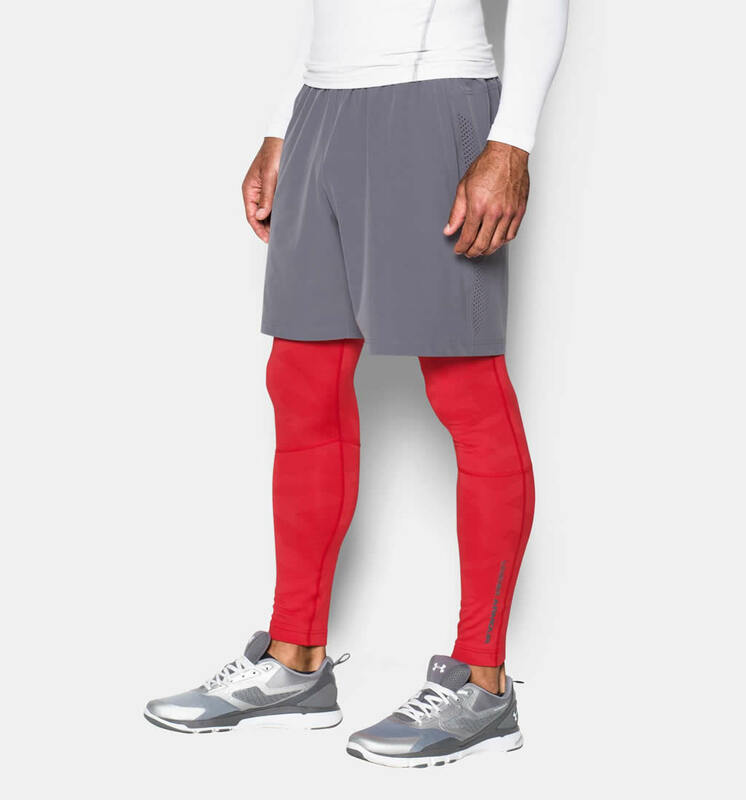 Whether we’re talking about shorts, compression pants, men’s soccer jackets or cold weather soccer gloves, it’s always a good idea to pick renowned manufacturers, and our list includes items from some of the best brands out there. 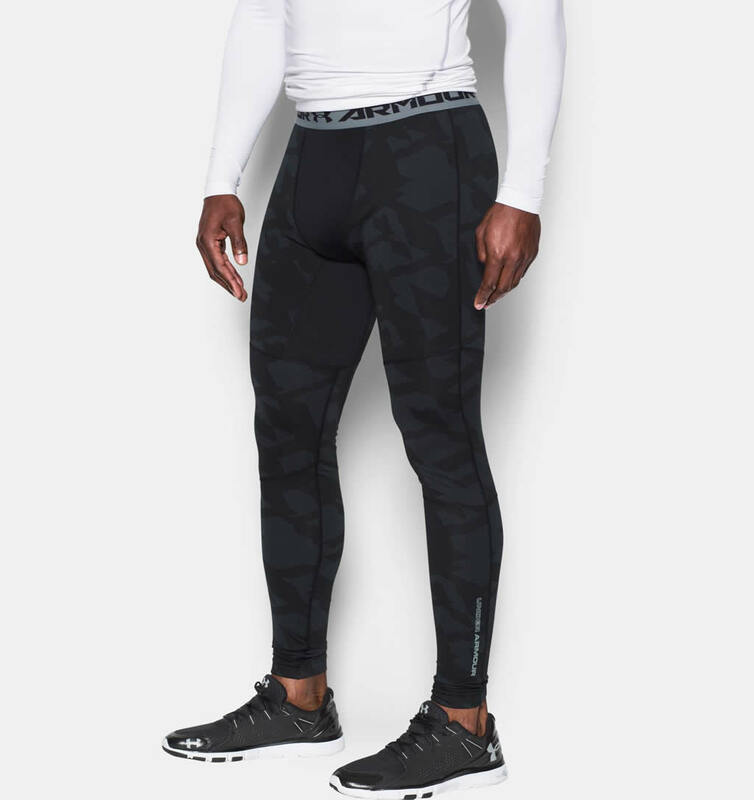 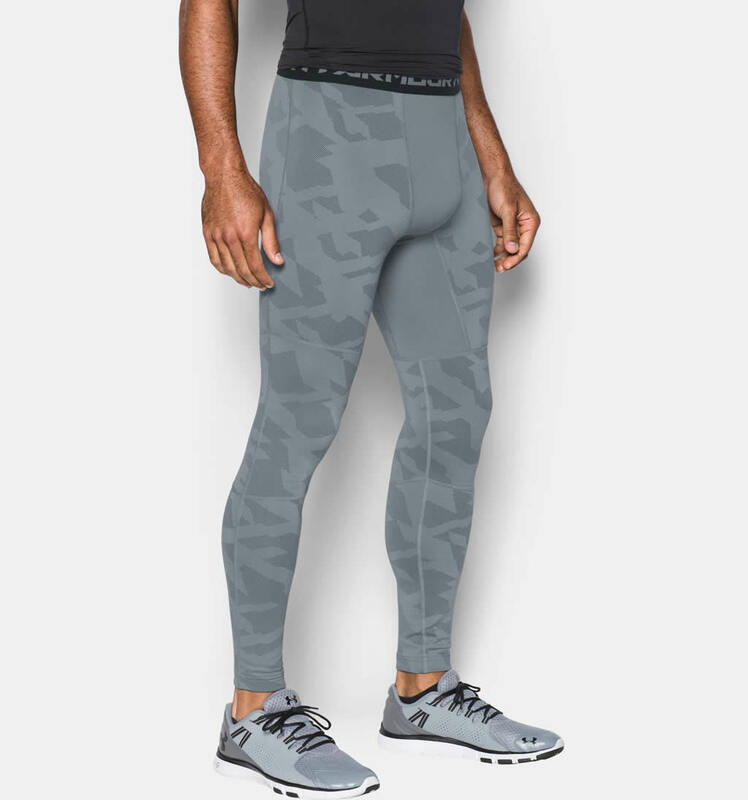 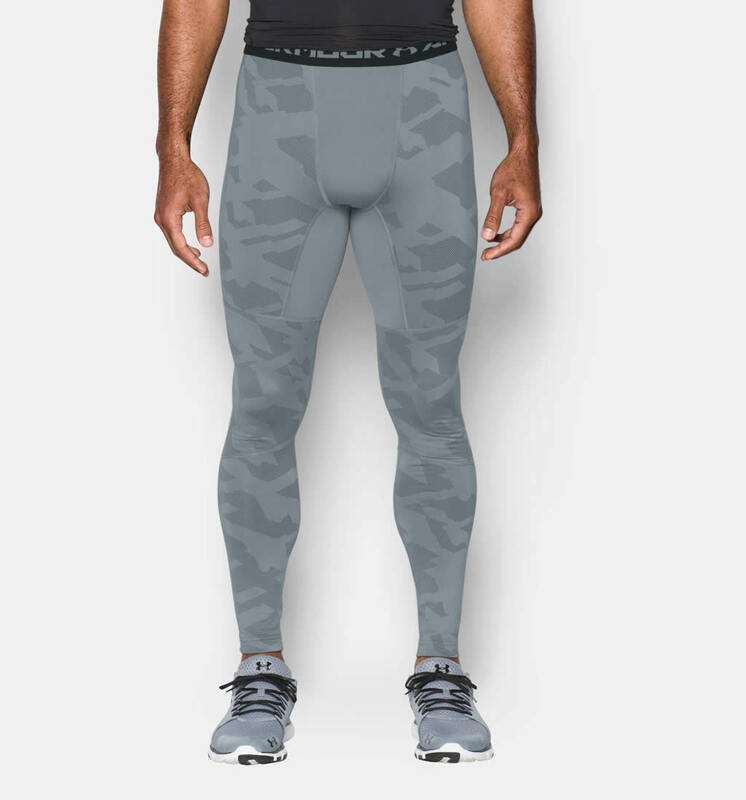 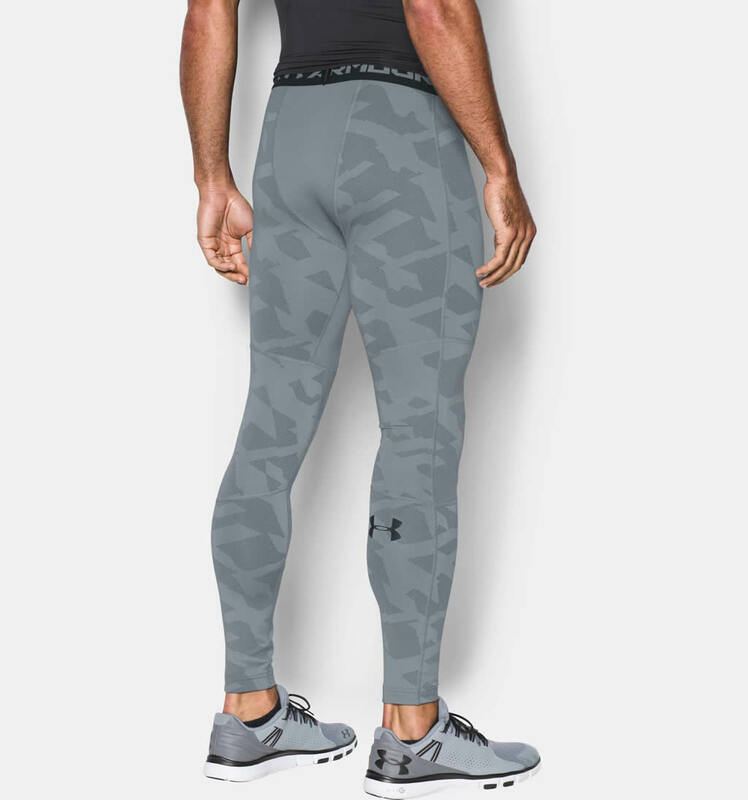 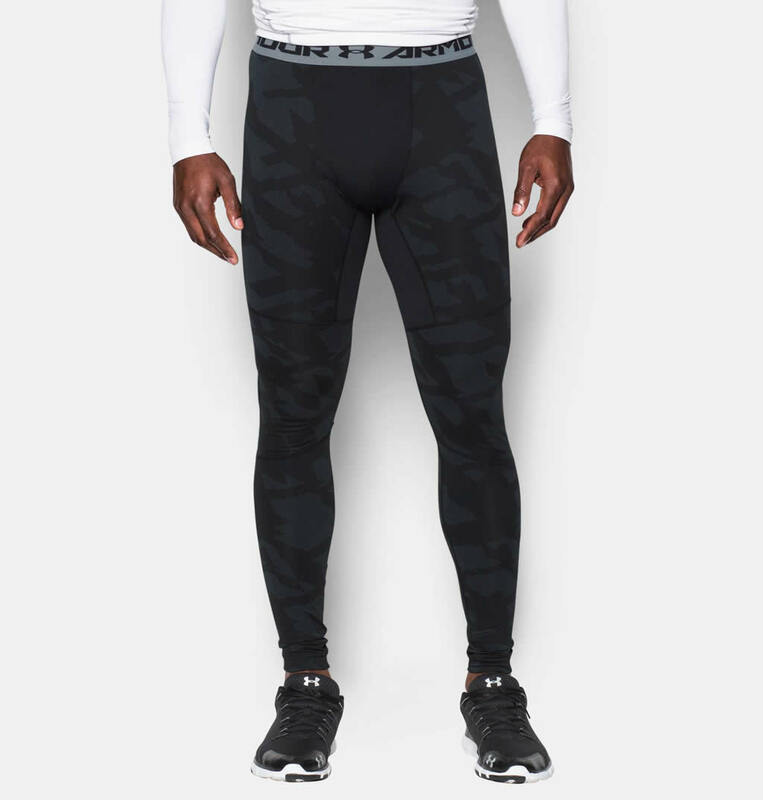 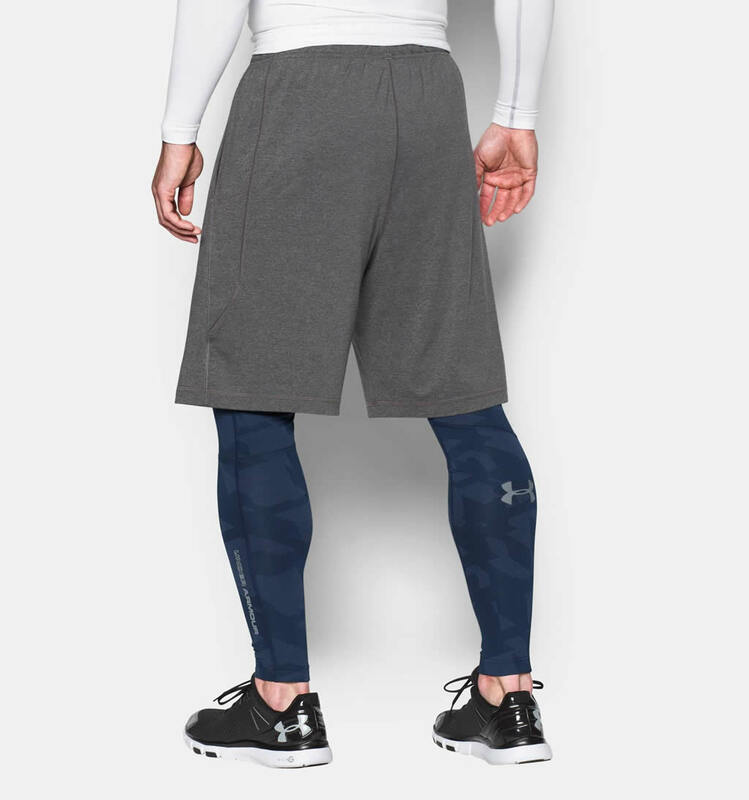 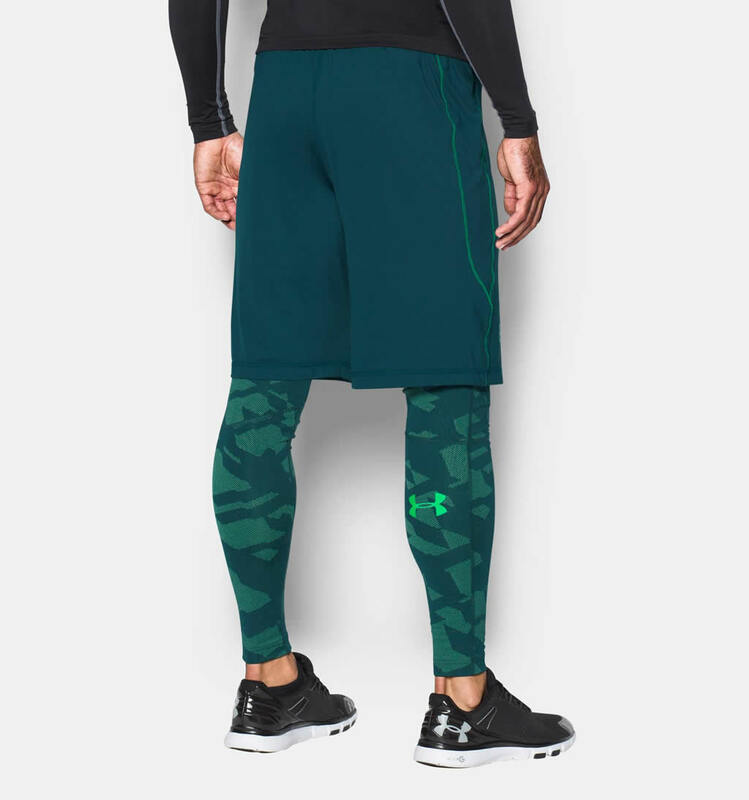 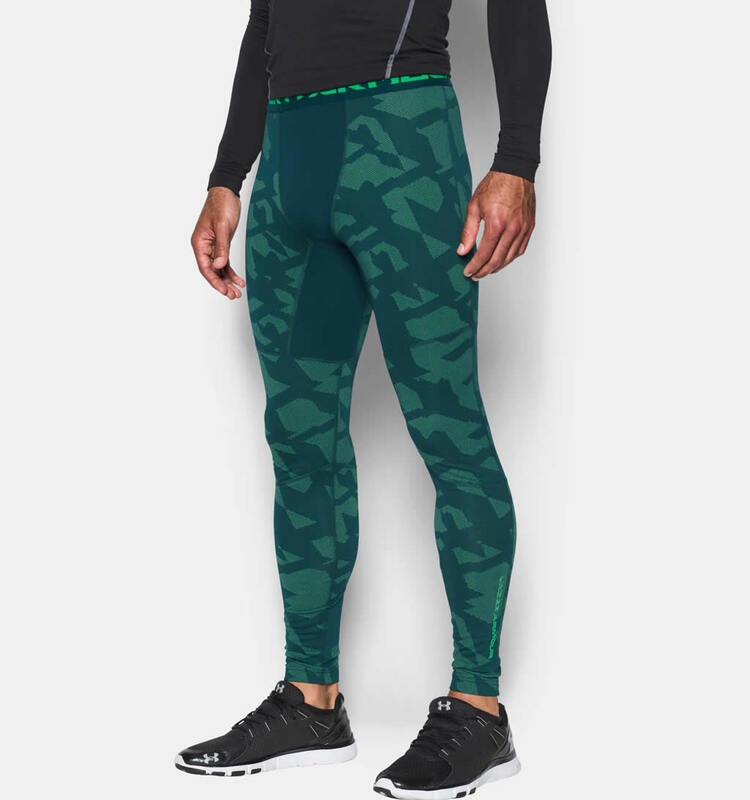 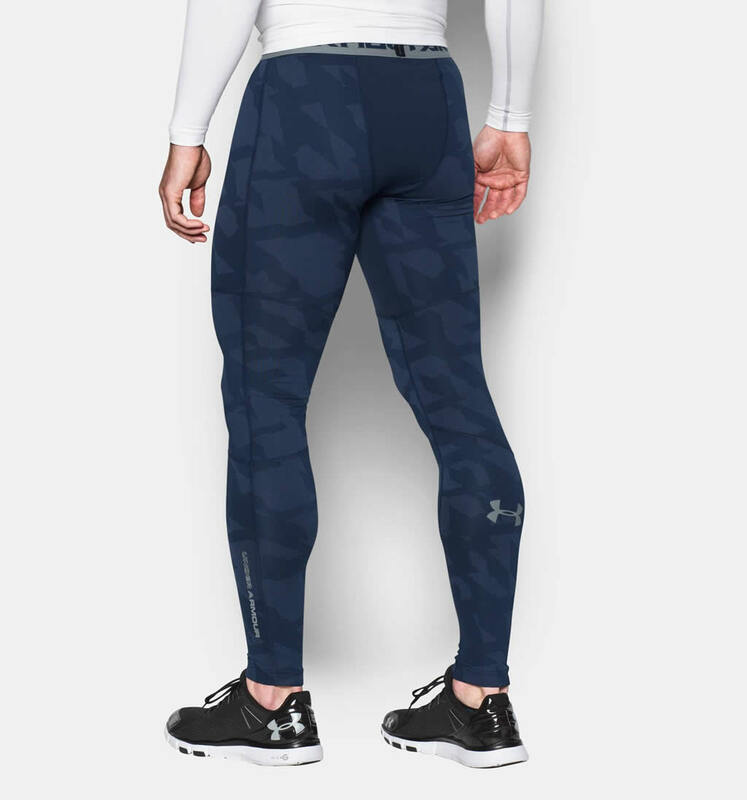 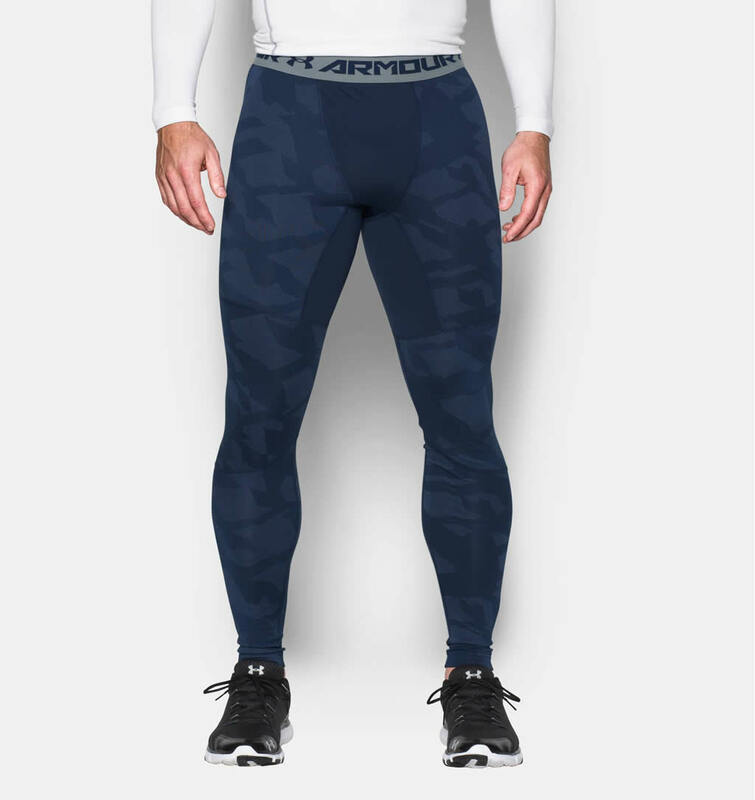 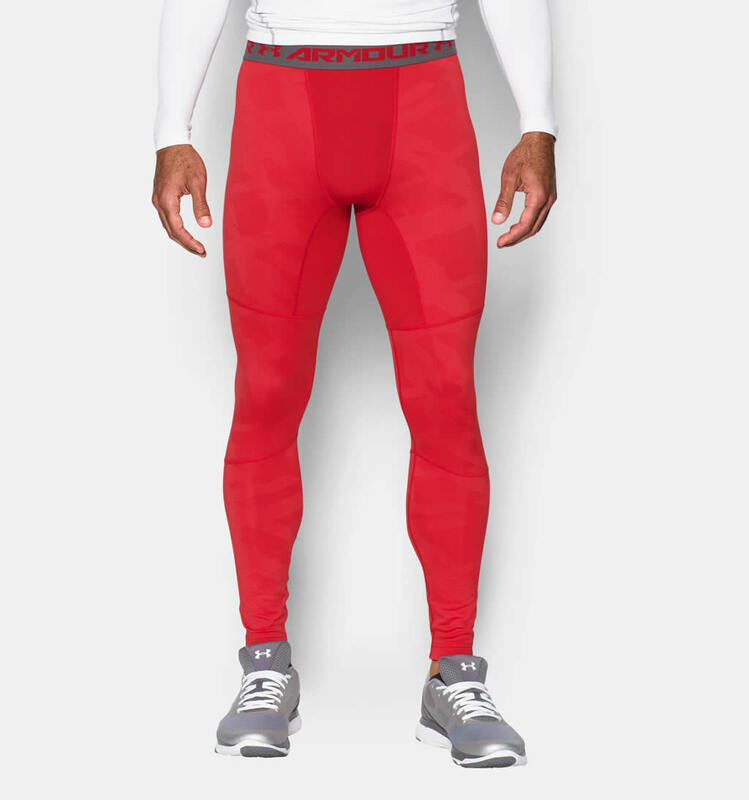 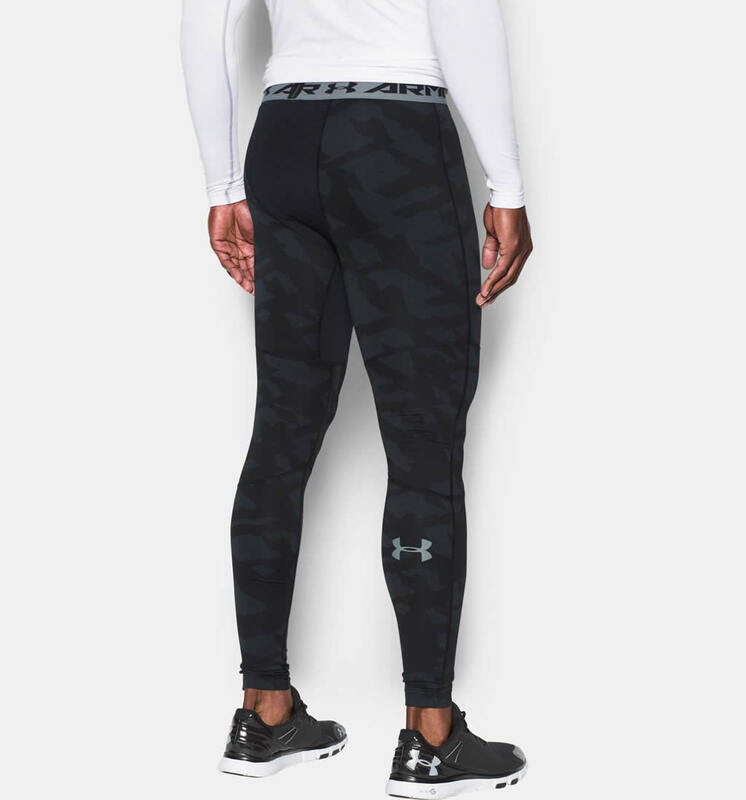 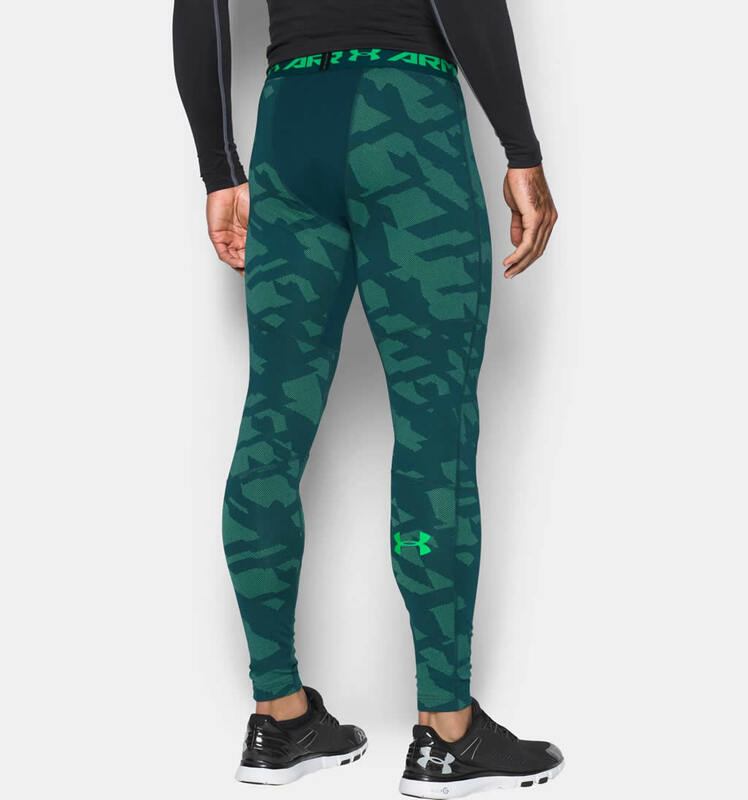 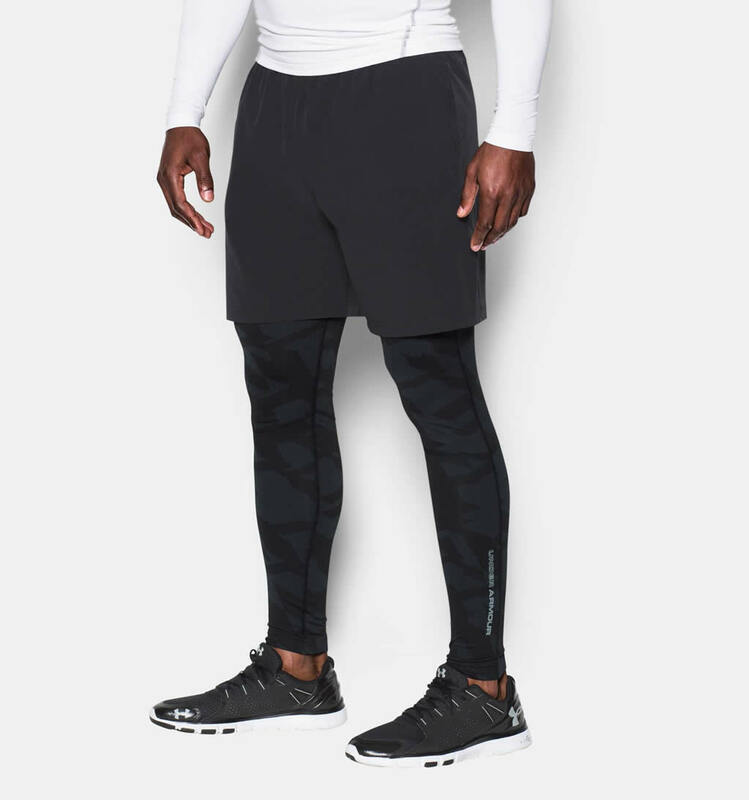 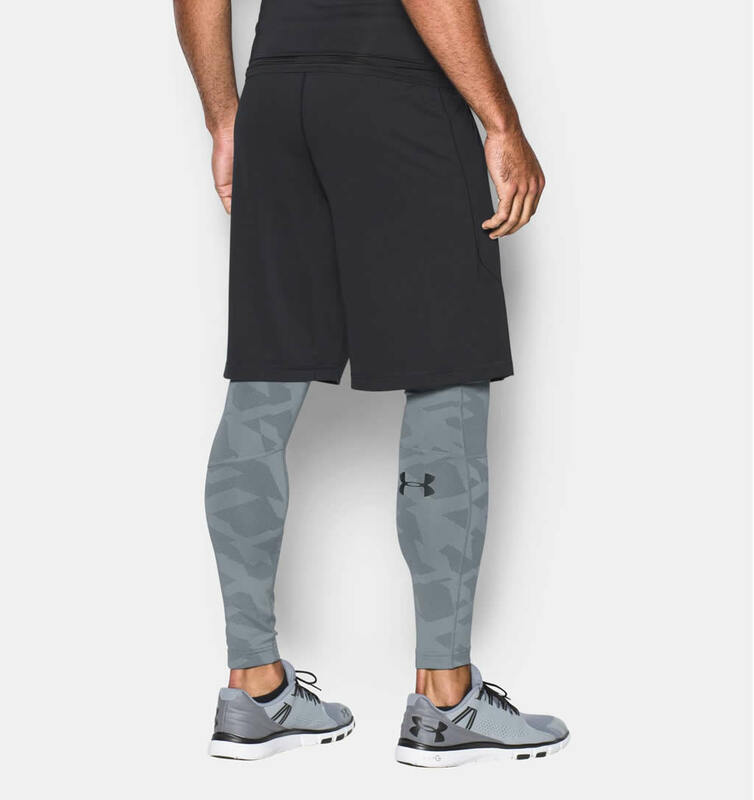 We’ll start off our list with an awesome pair of Under Armour soccer compression pants, namely the UA ColdGear Armour Jacquard Compression. 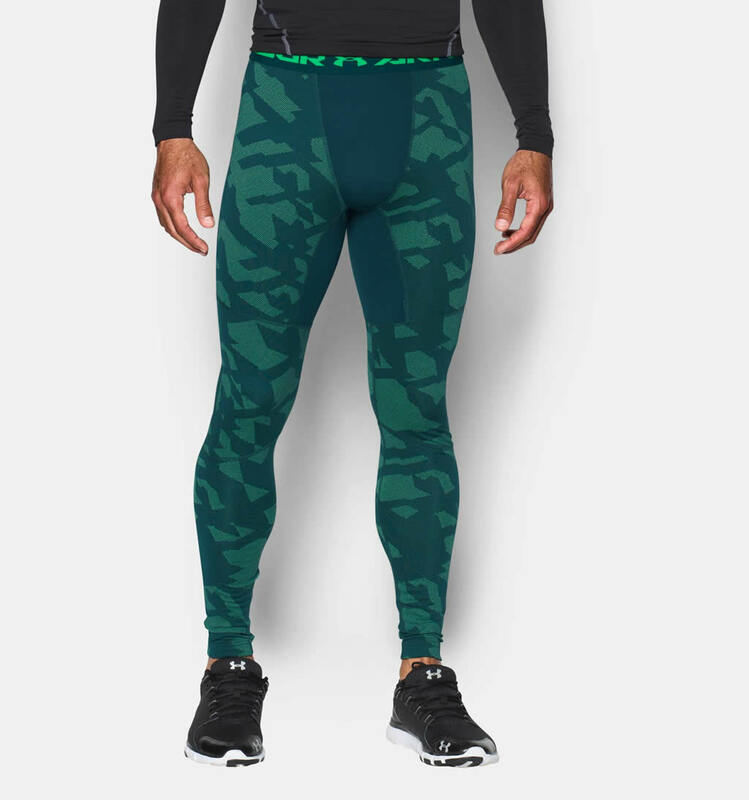 These pants are available in colorways such as Steel/Black, Black/Steel, Red/Graphite, Midnight Navy/Steel and Nova Teal/Northern Lights, and they provide a very tight, second skin fit. They were created using a mix of Polyester and Elastane, and they flaunt a chafe-free flatlock seam construction as well as a 4-way fabrication that ensures great mobility in all directions. 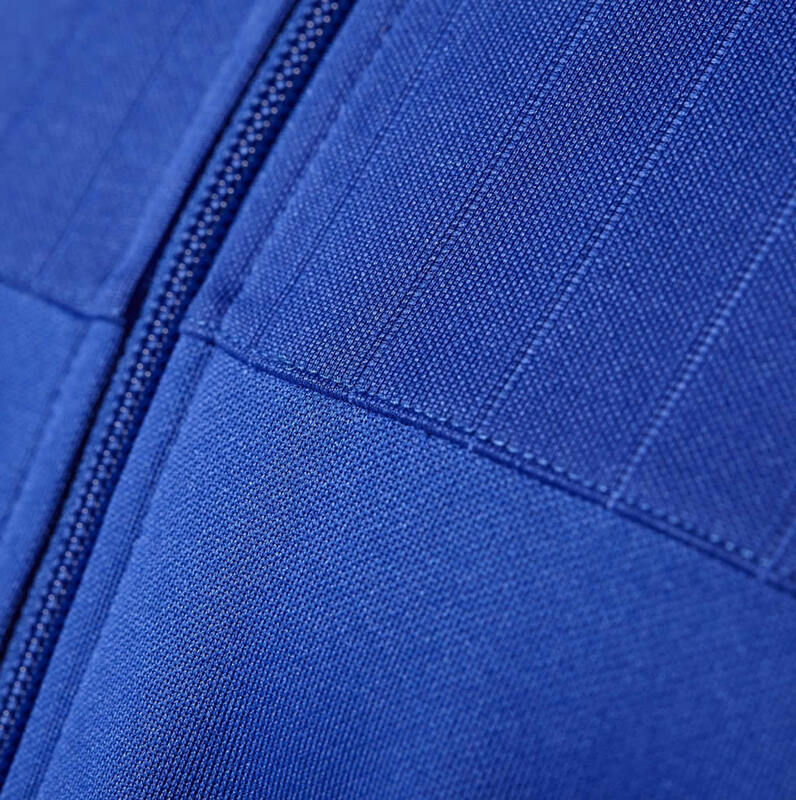 Other highlights include a Moisture Transport System that pulls sweat away from the skin and encourages evaporation, as well as an Anti-Odor tech that inhibits the growth of odor-causing bacteria. 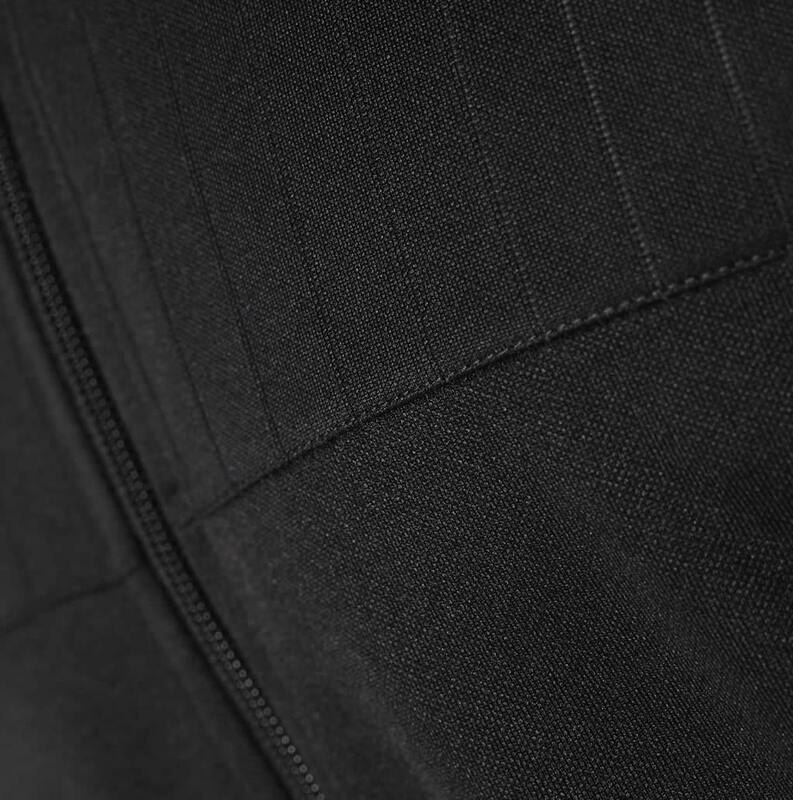 The engineered elastic waistband comes with an ARMOUR badge for extra originality, while the dual-layer textured fabric includes a warm, brushed interior that enhances comfort. 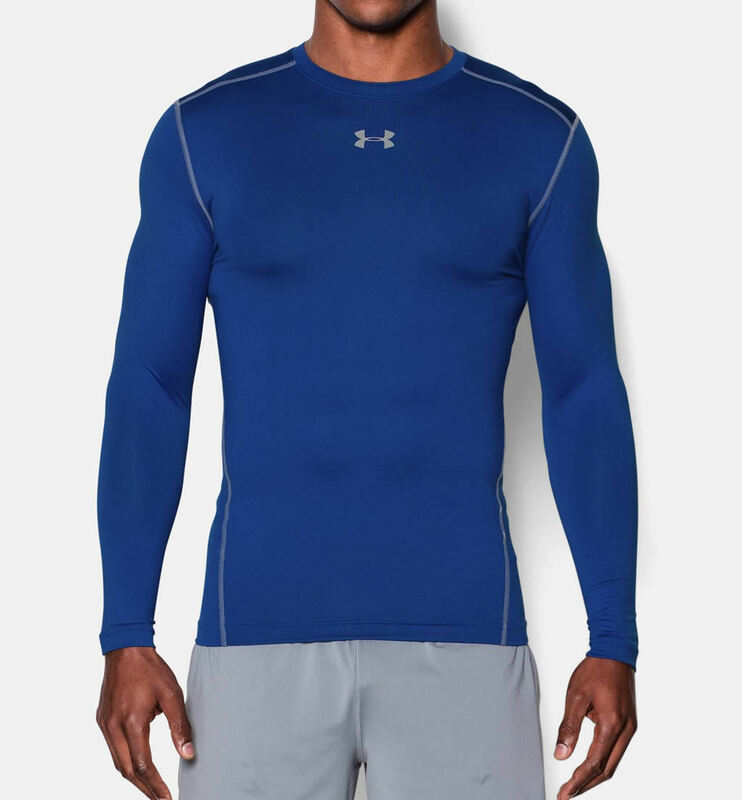 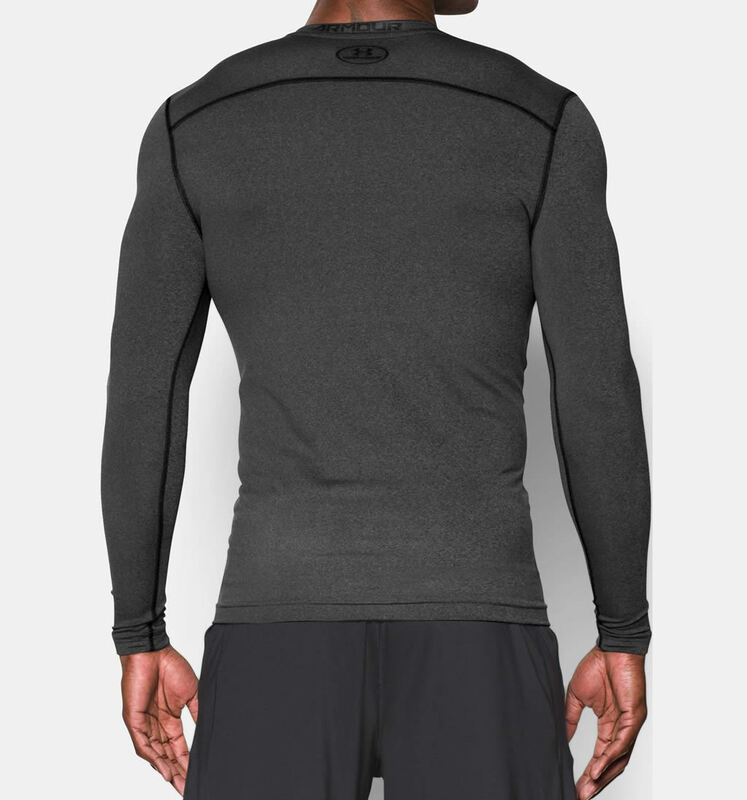 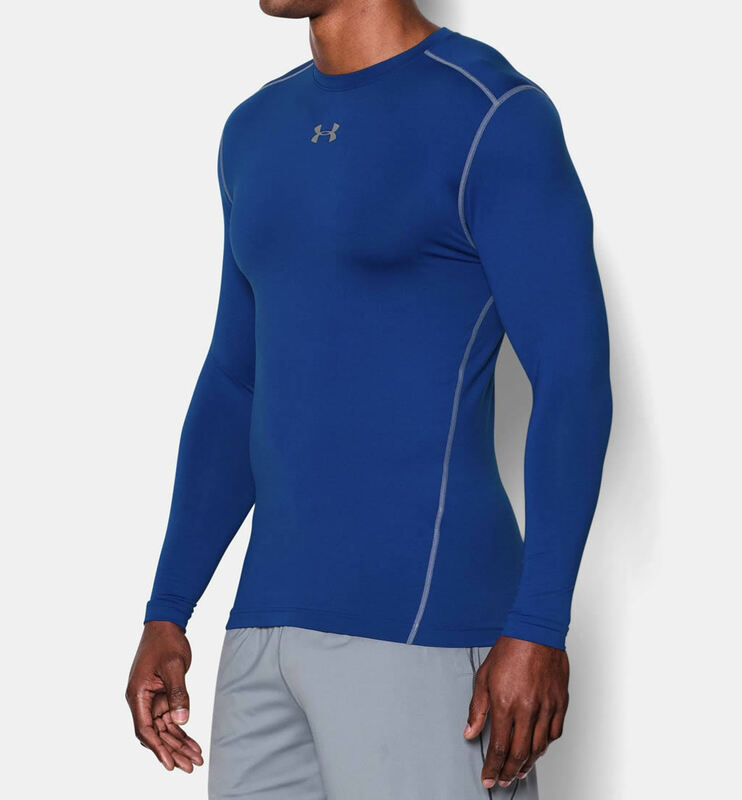 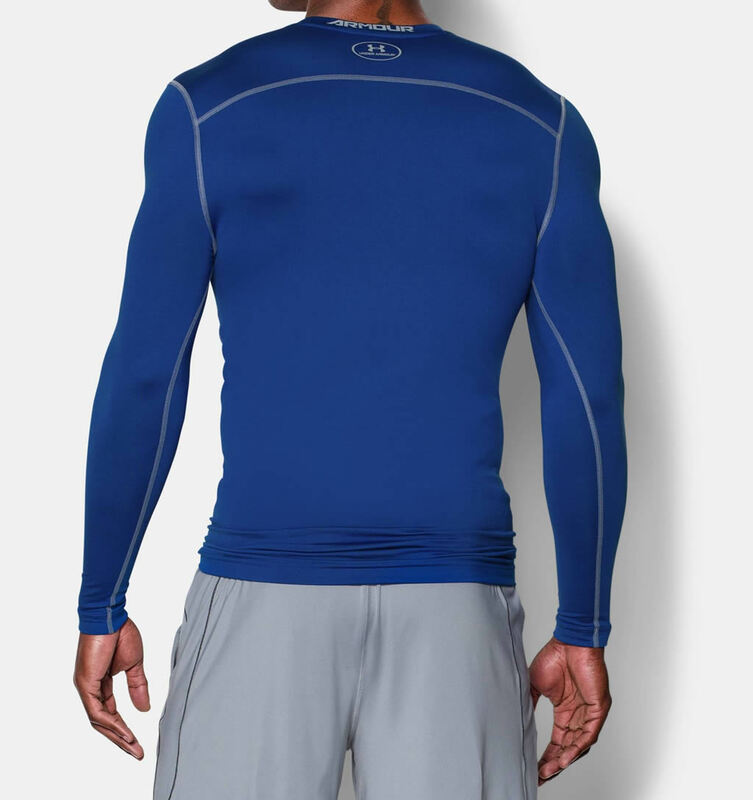 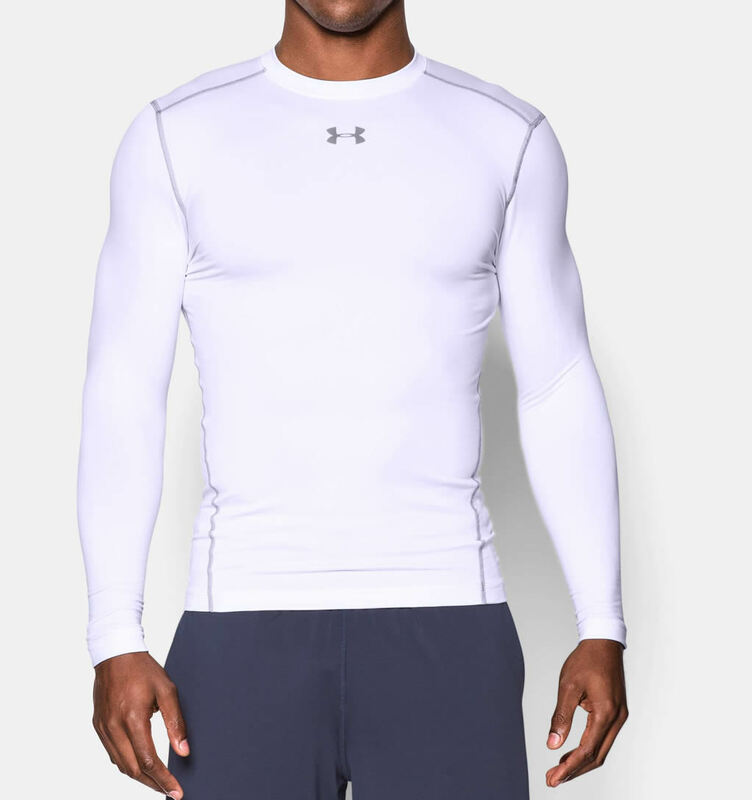 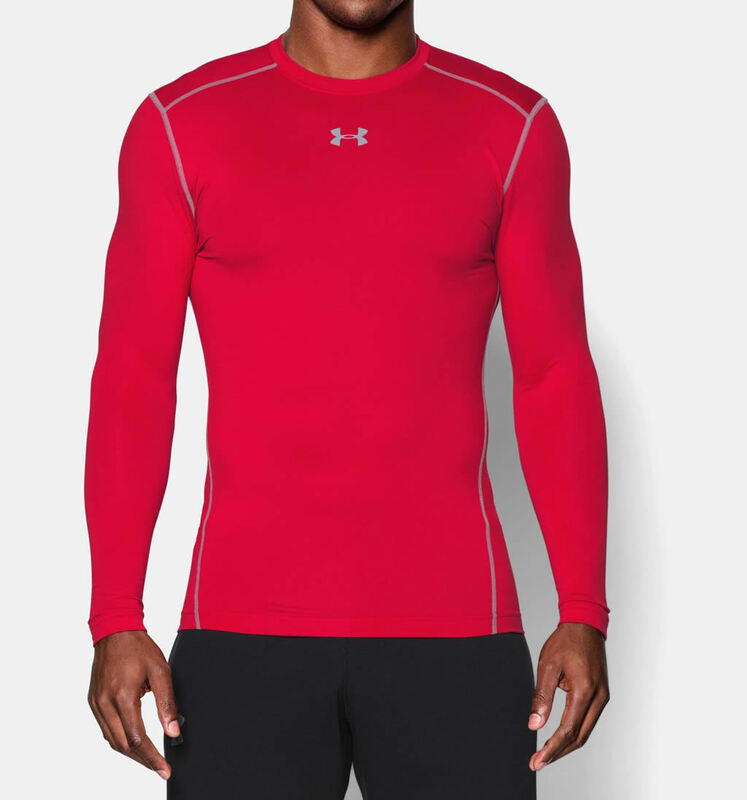 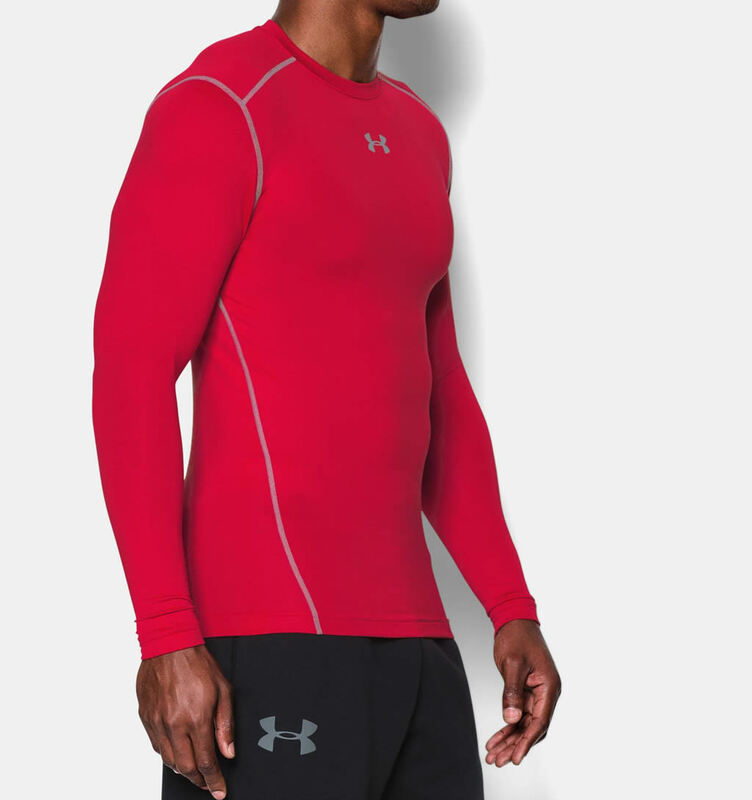 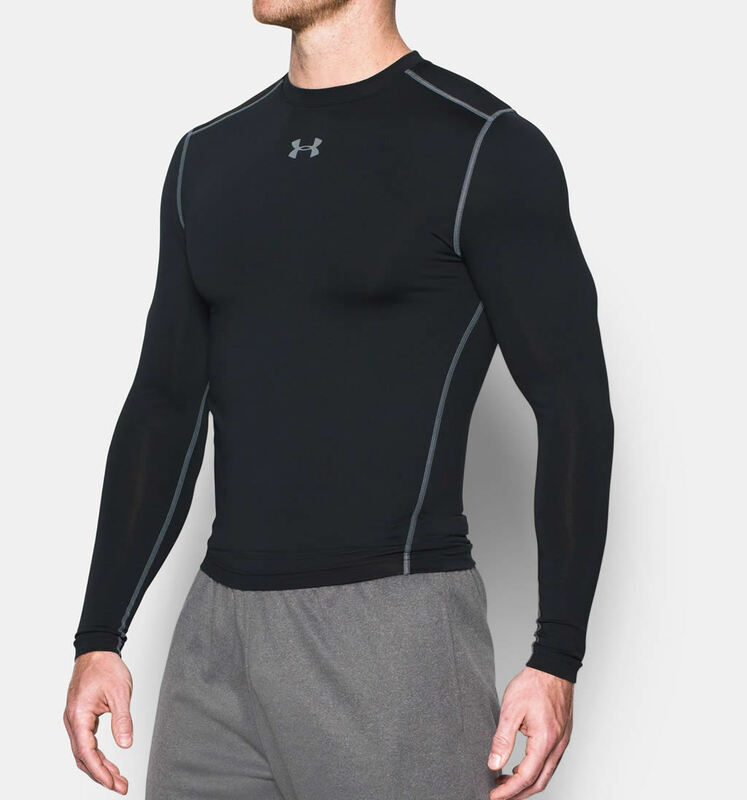 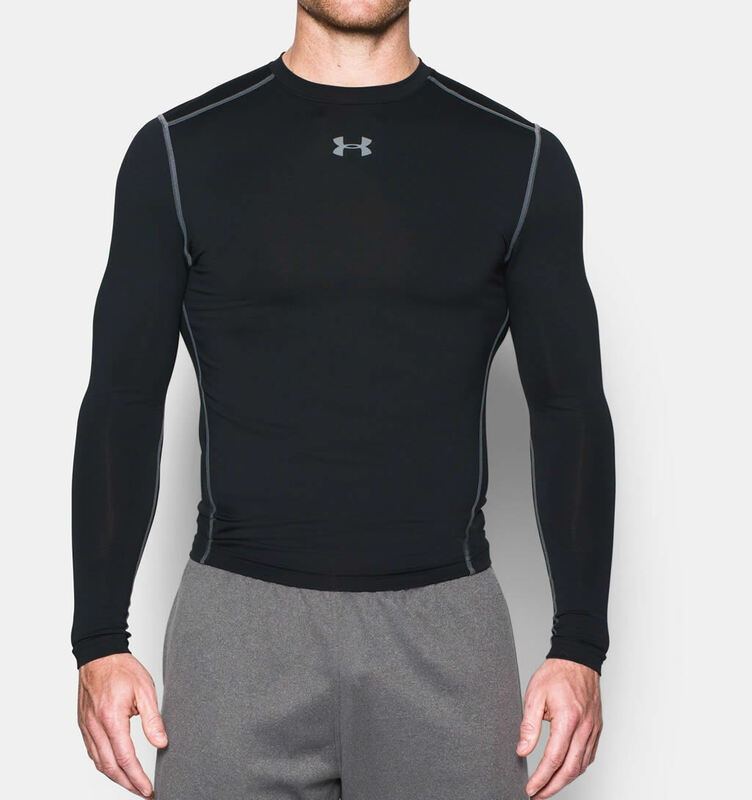 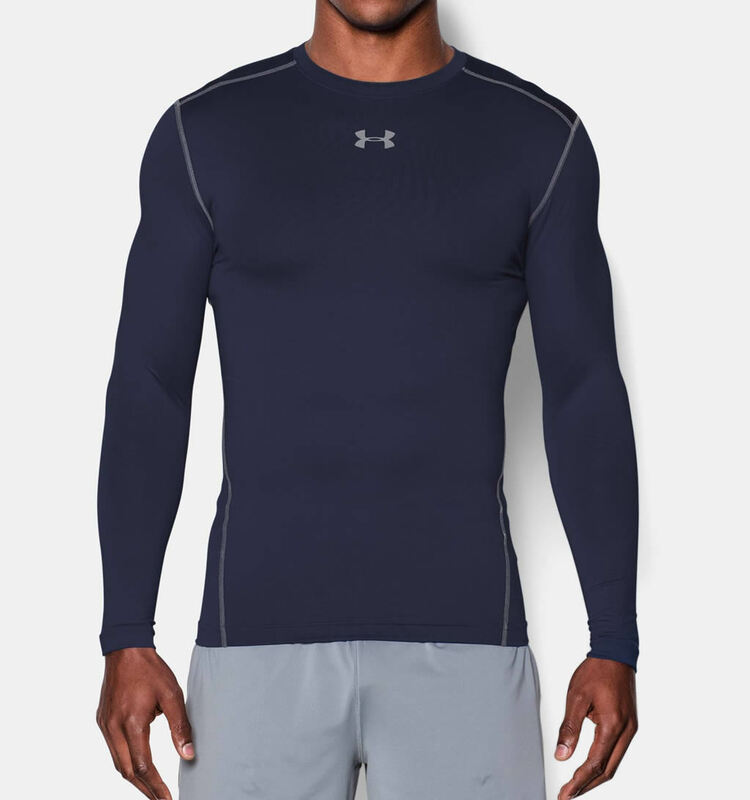 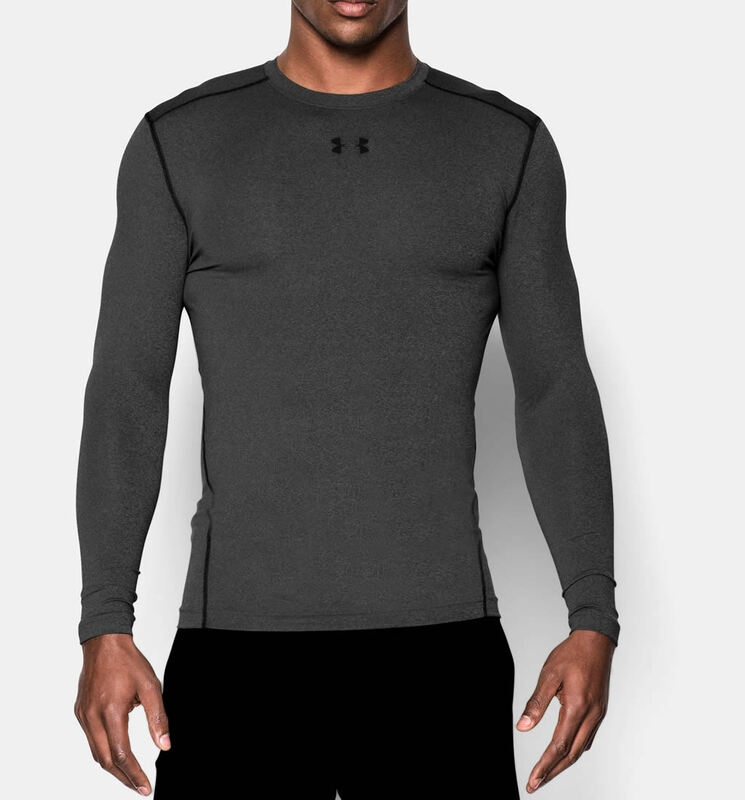 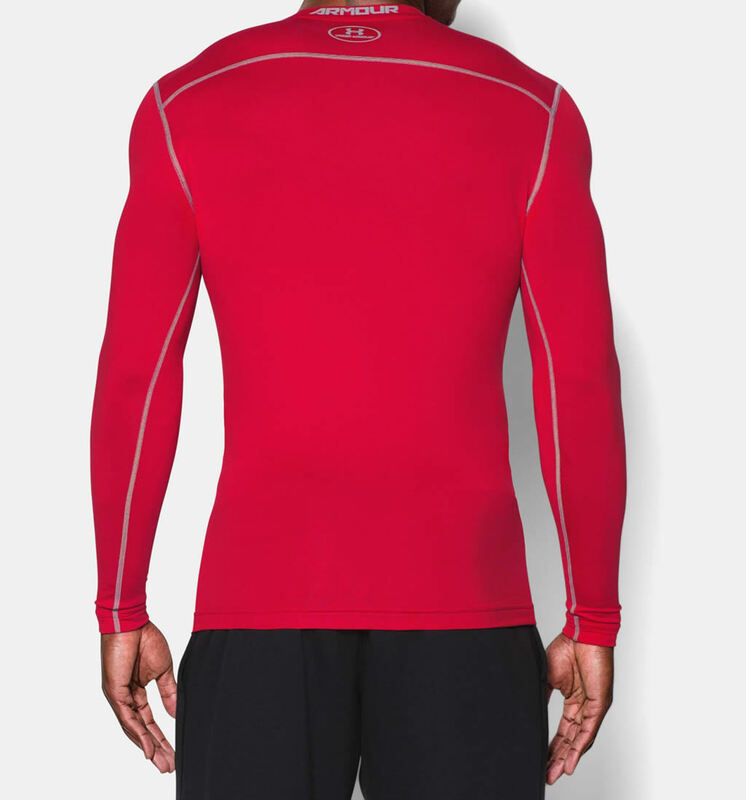 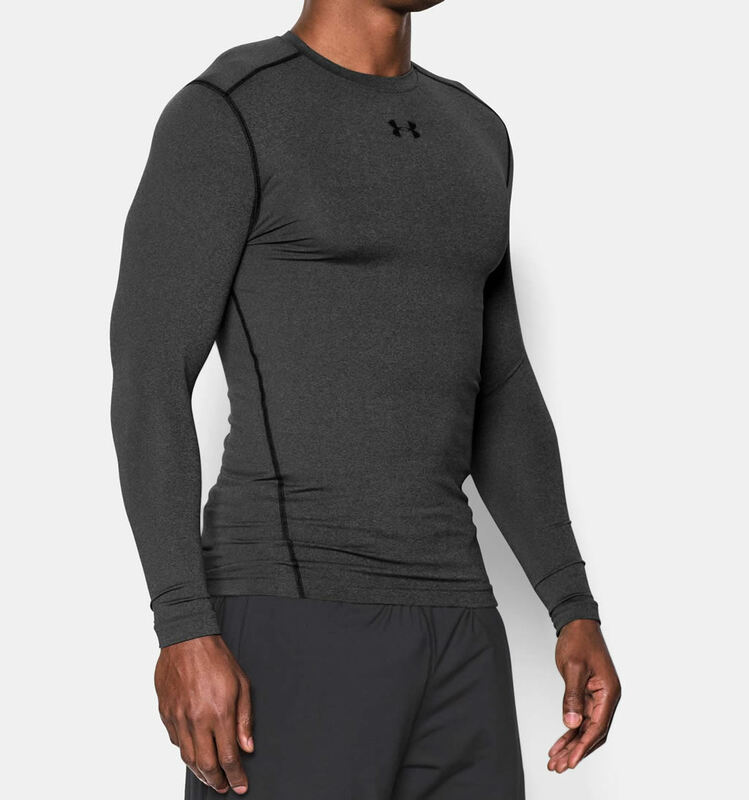 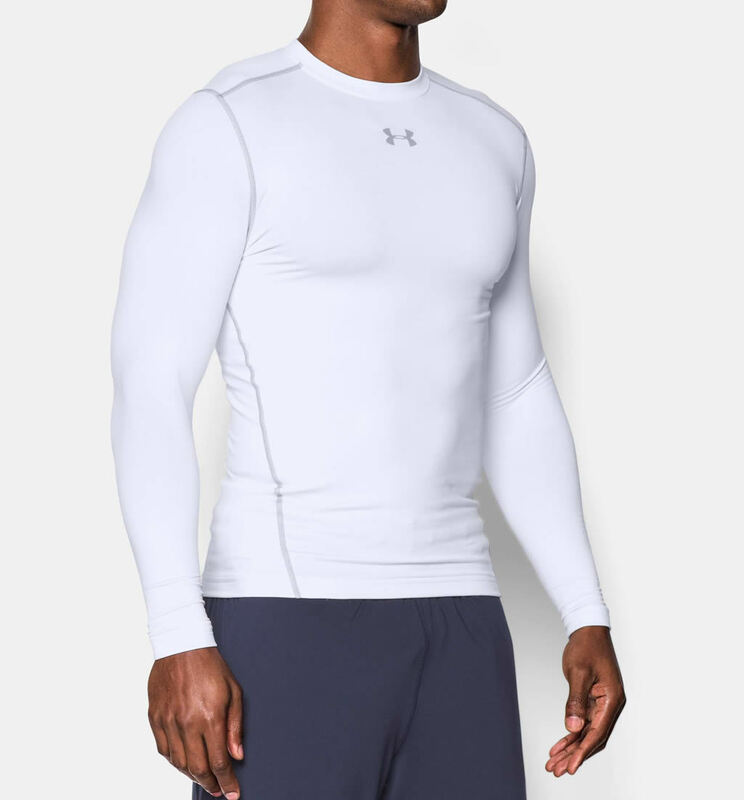 This cold weather compression shirt was also created by Under Armour, and it was dubbed UA ColdGear Armour Compression Crew. 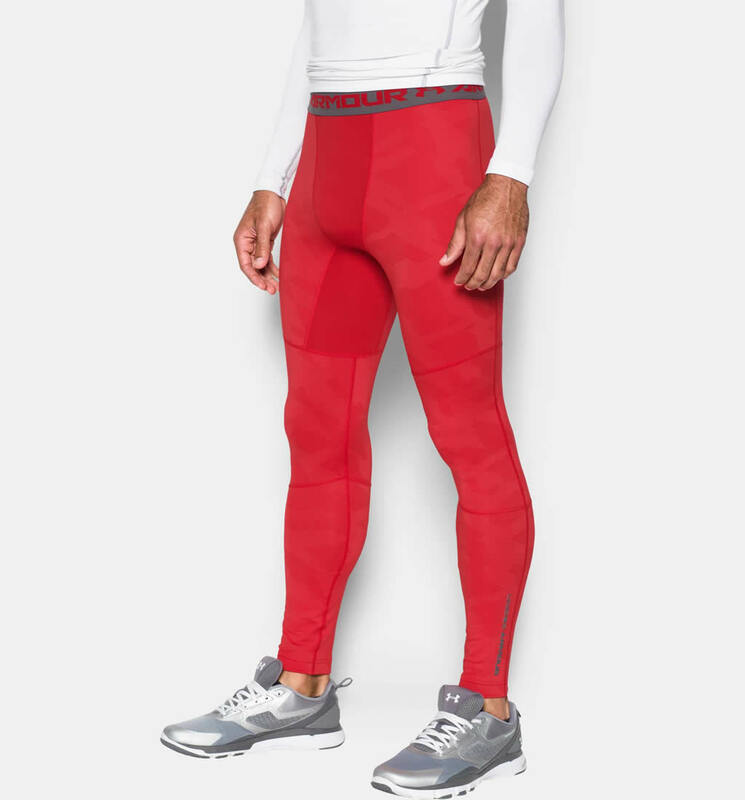 It also comes in several colorways, many of which match the pants, and it includes the same Moisture Transport System and anti-odor technology. 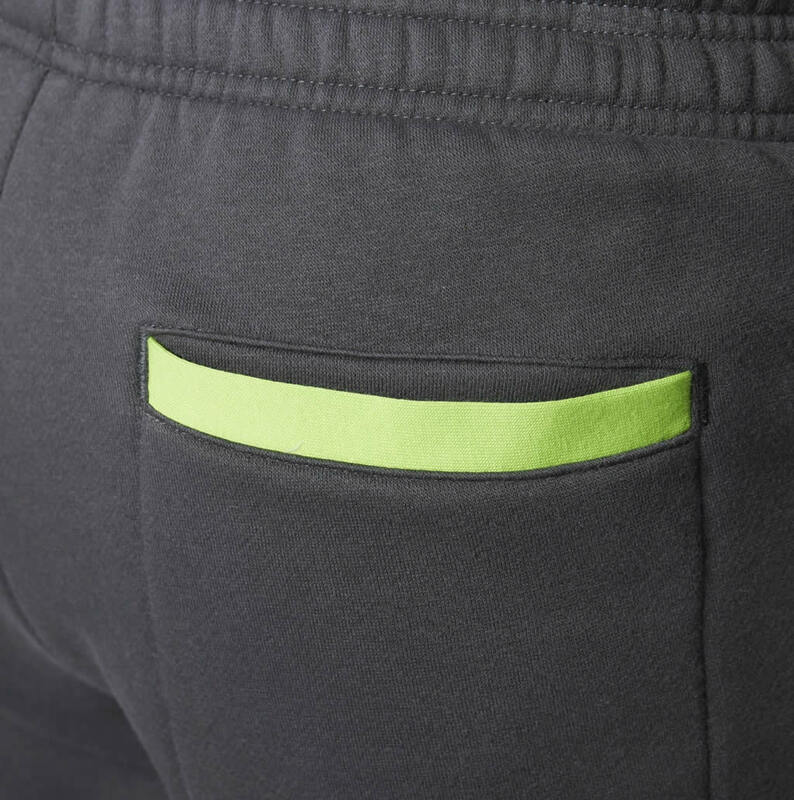 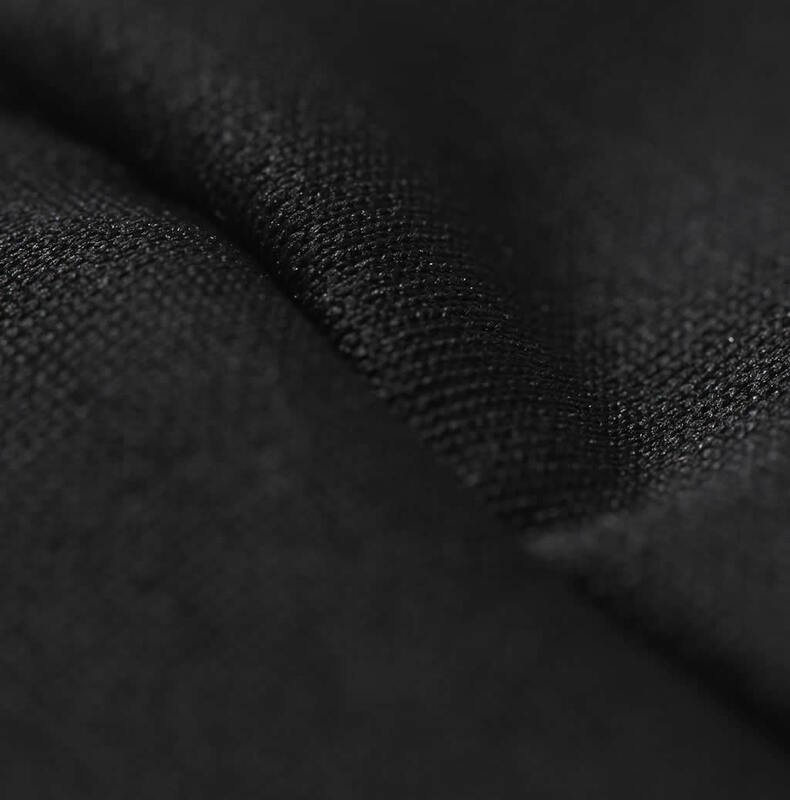 The dual-layer fabric is also there, as is the chafe-free flatlock seam construction that we love so much. 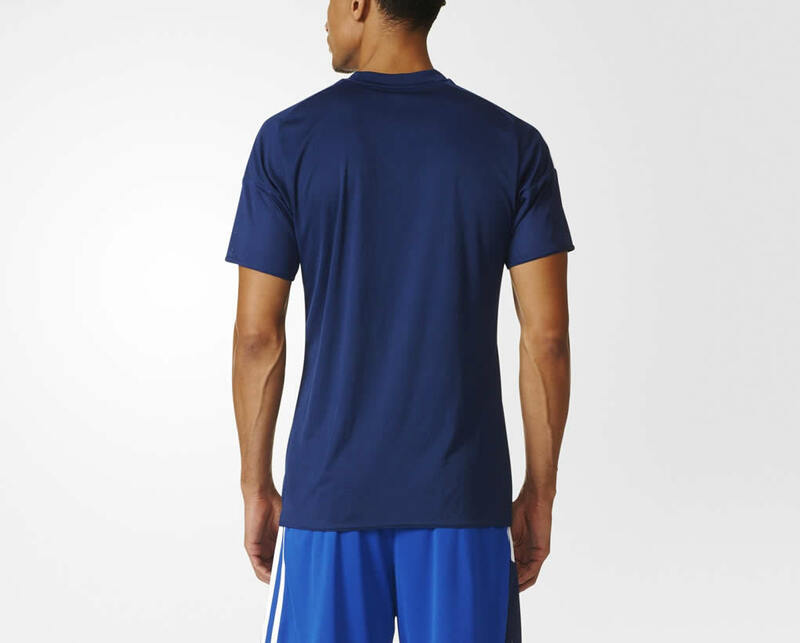 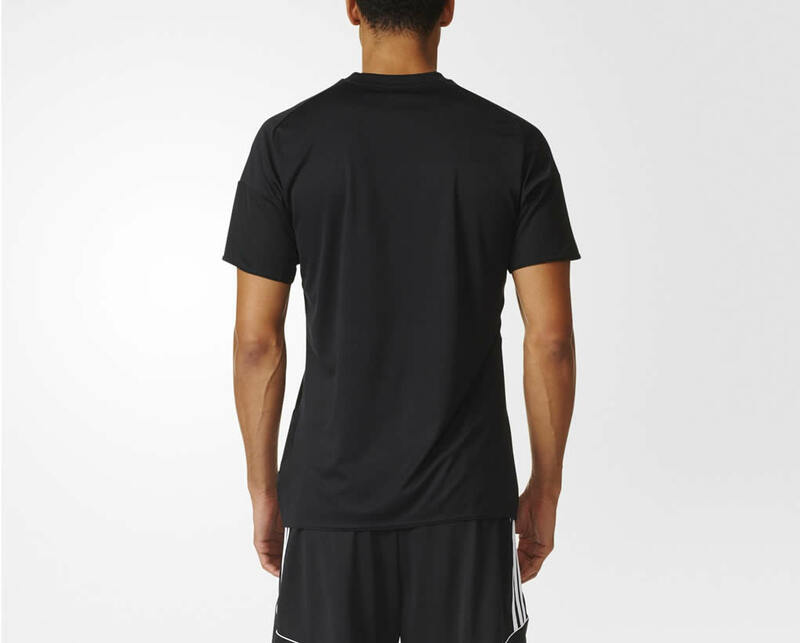 The shirt’s material composition is Polyester and Elastane, and it flaunts an ARMOUR wordmark at the back of the neck. 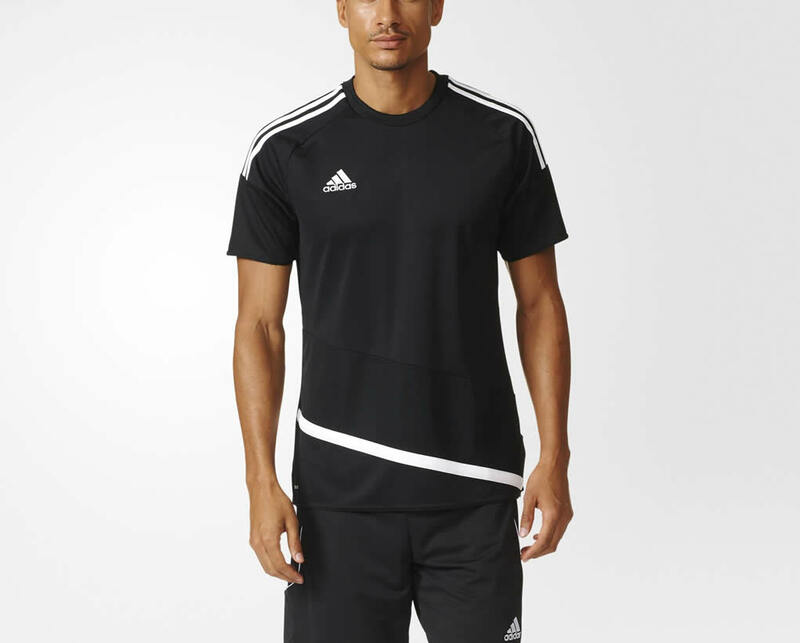 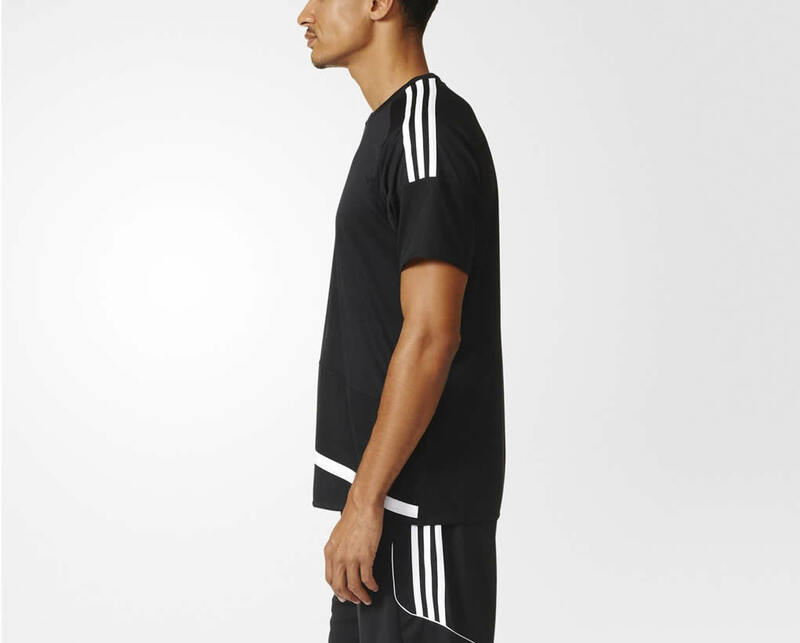 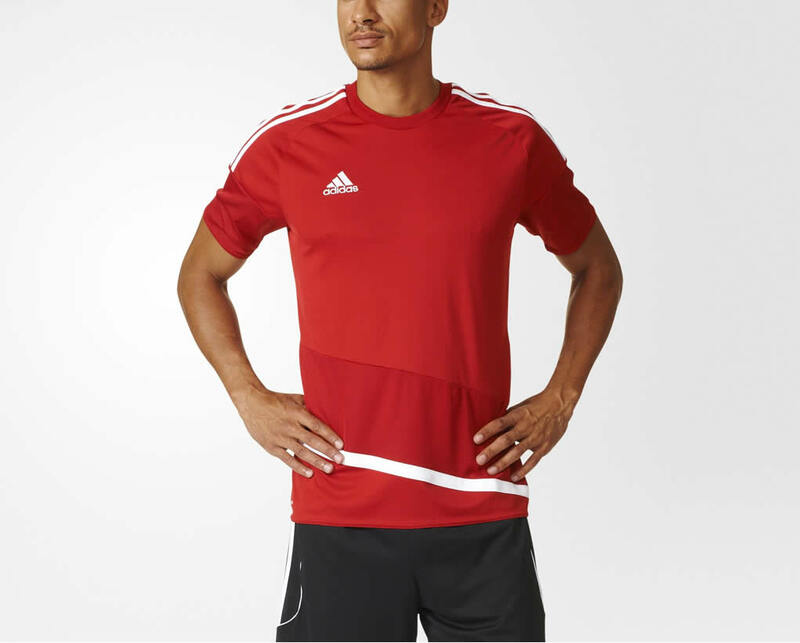 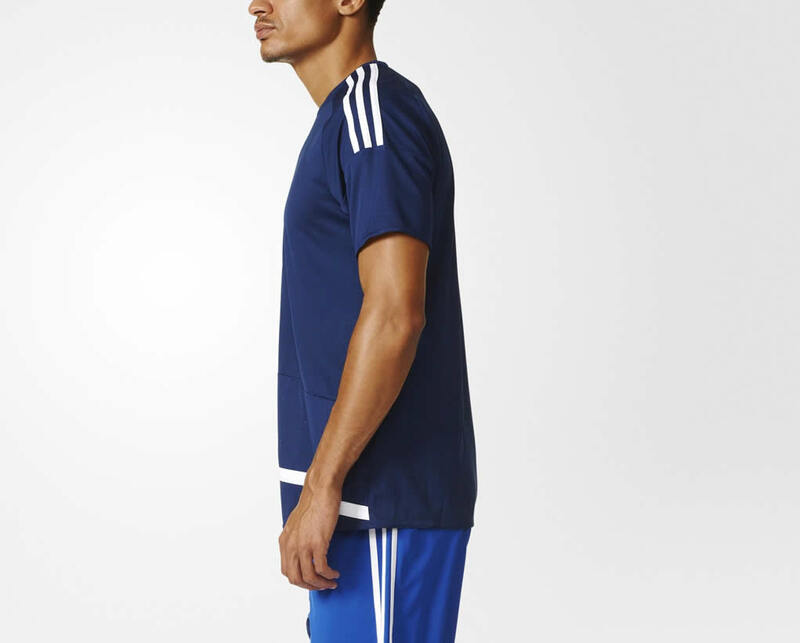 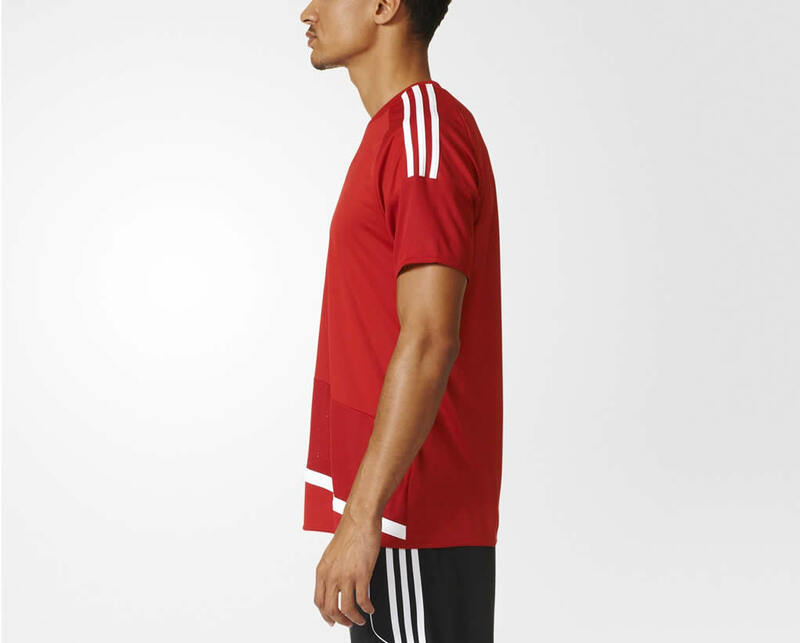 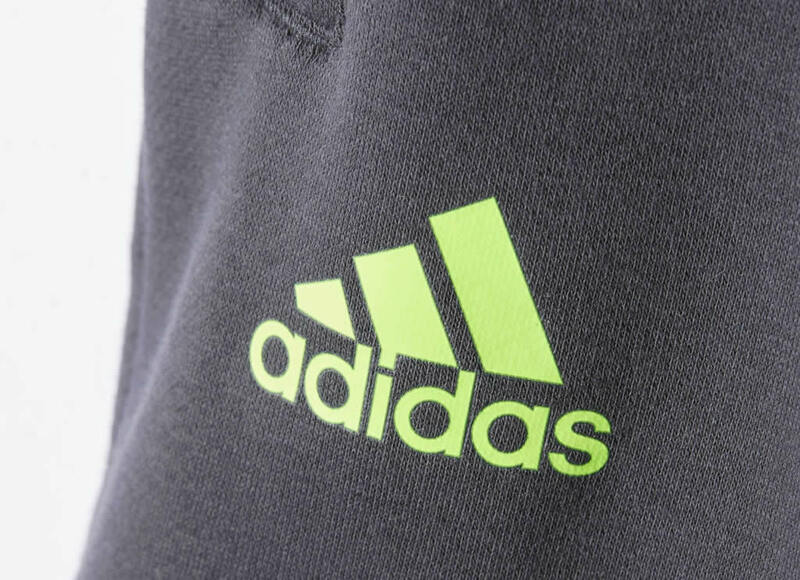 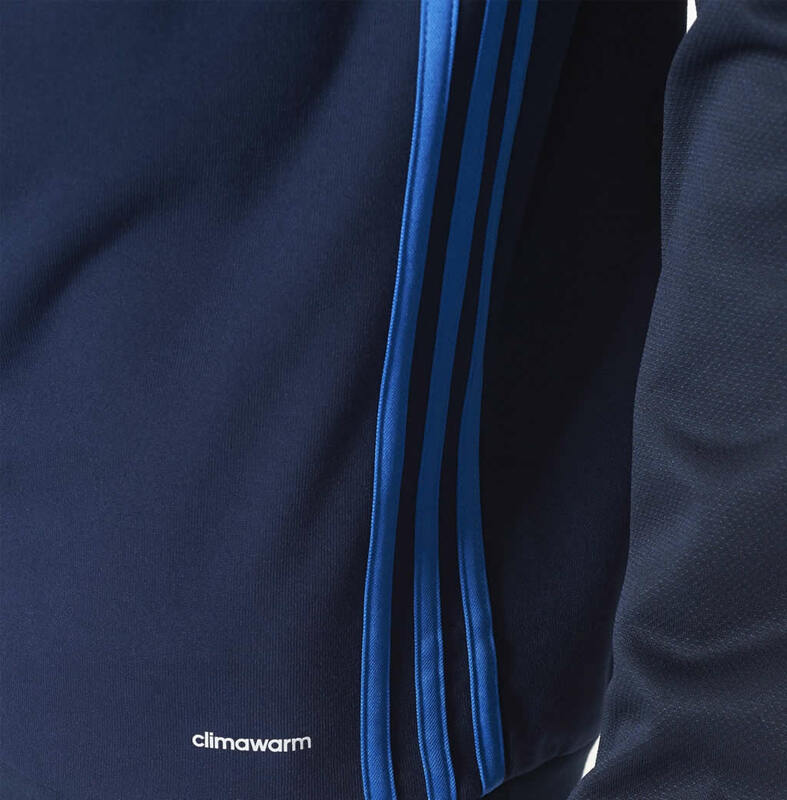 For the outfit’s jersey, we’re here to suggest the Regista 16 DRYDYE by adidas – a comfortable and stylish product that impresses with a slim fit complemented by embroidered details and a ribbed crewneck. 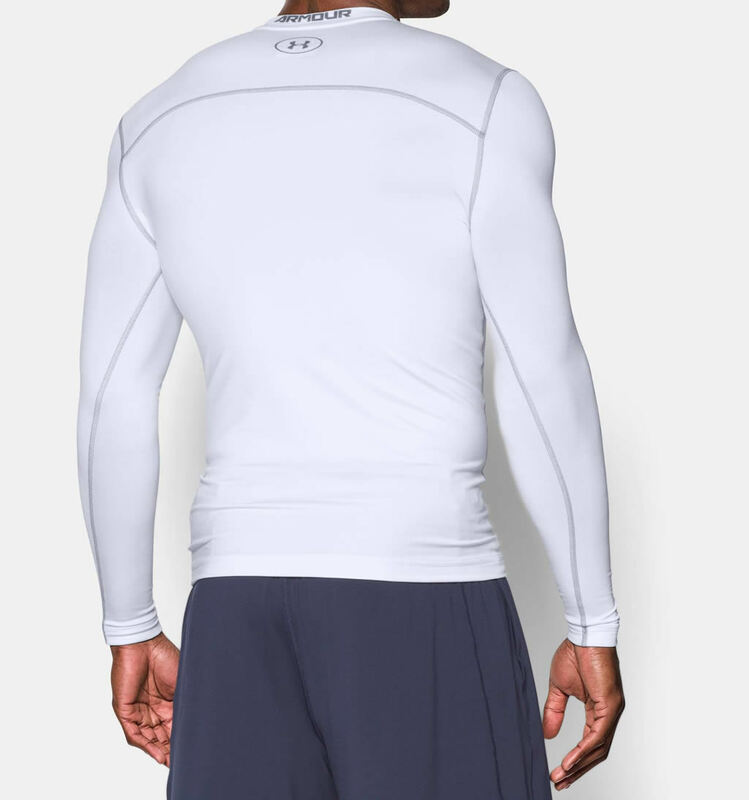 It also boasts raglan sleeves with small-hole mesh lower sleeves, as well as the brand’s climacool technology that will keep you cool and dry at all times. 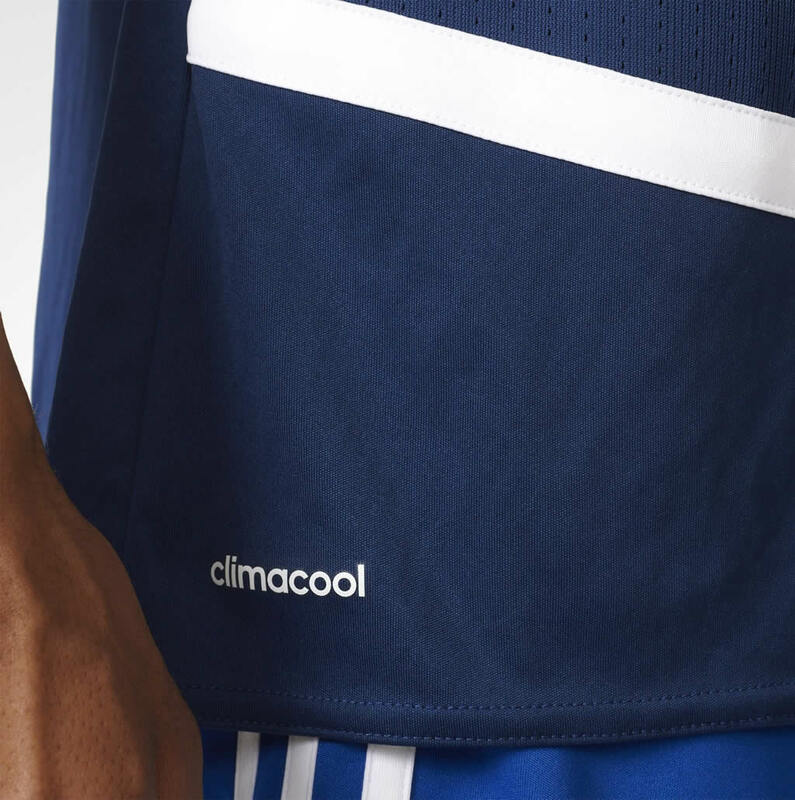 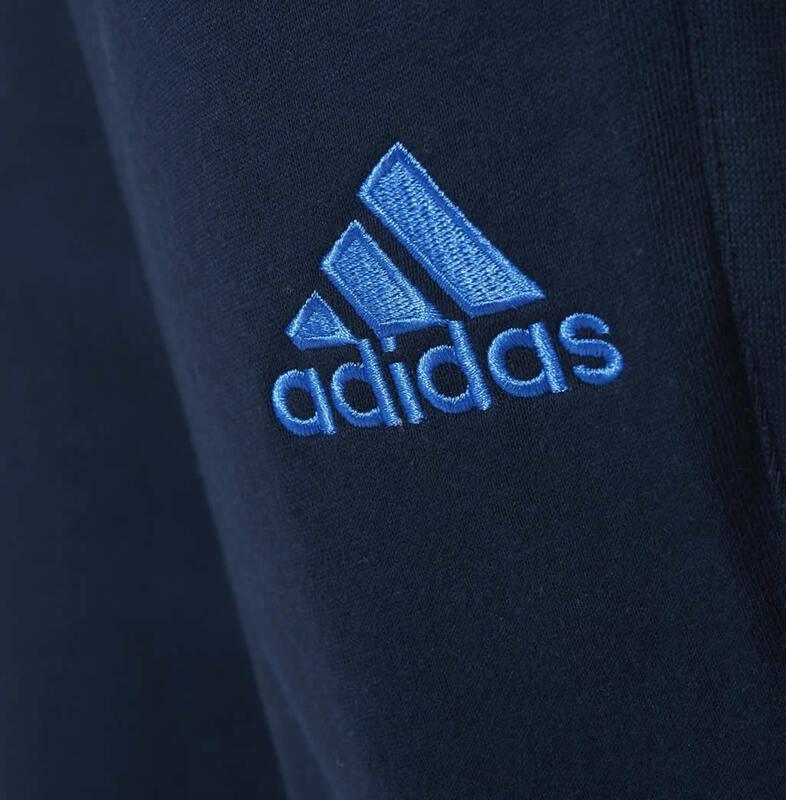 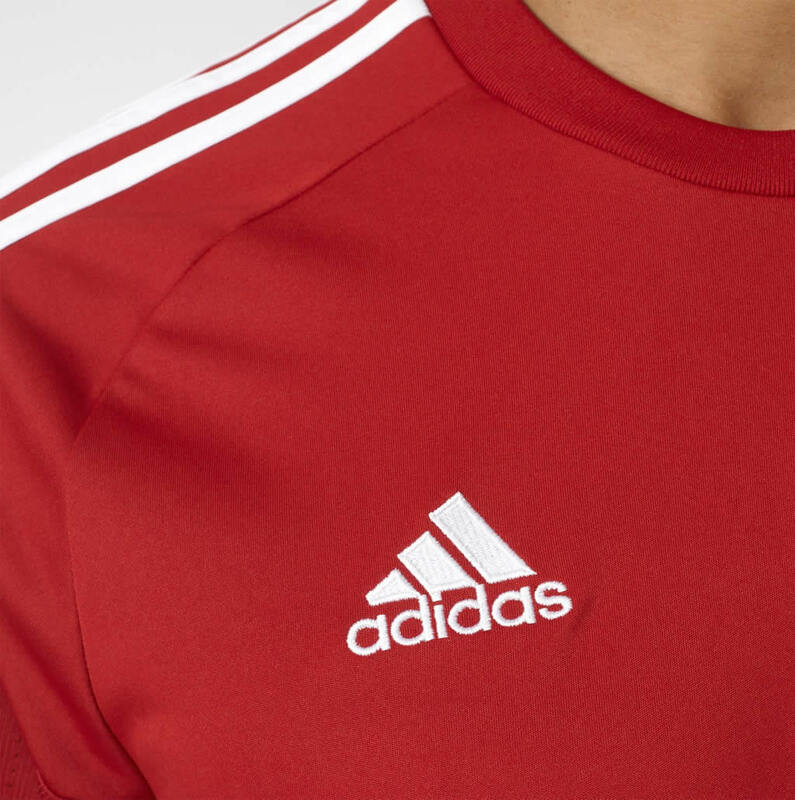 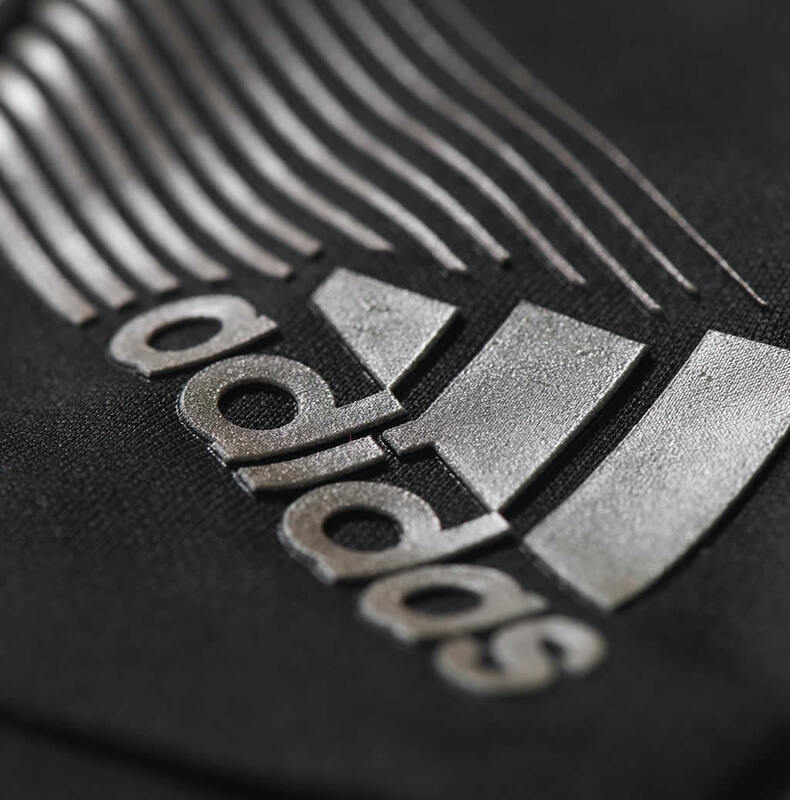 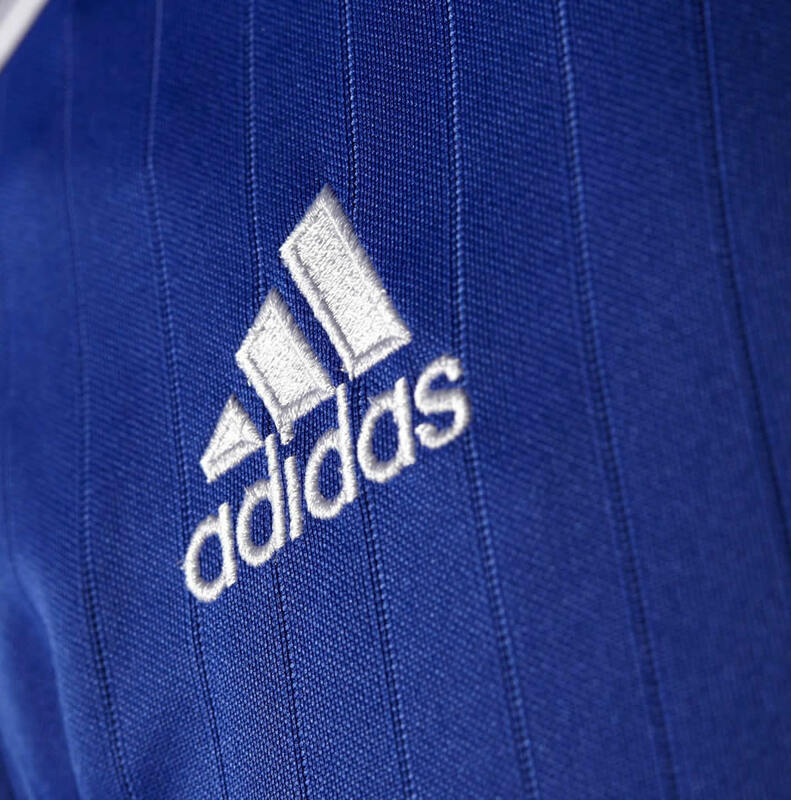 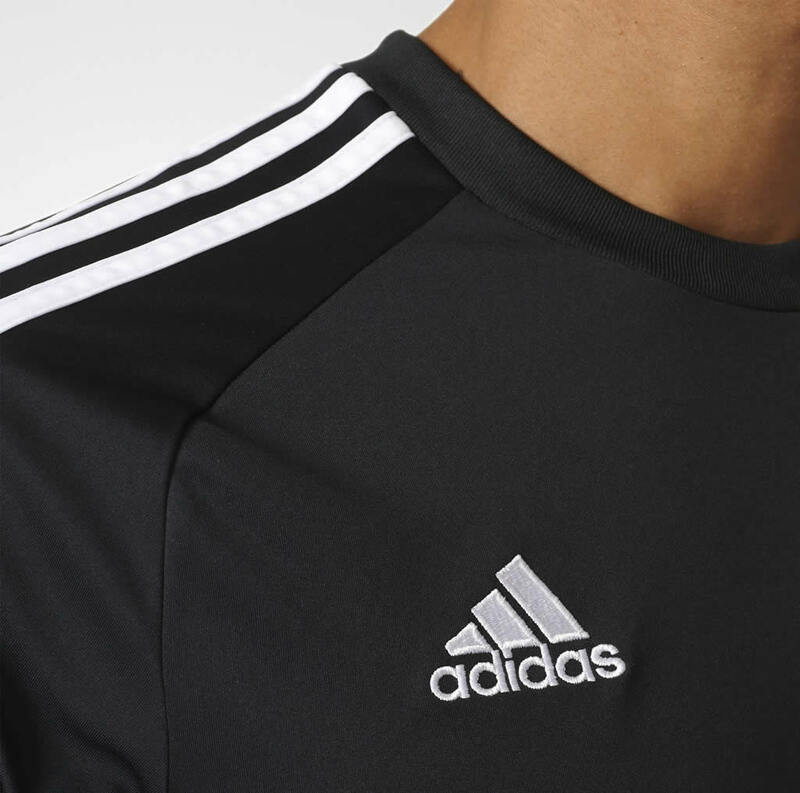 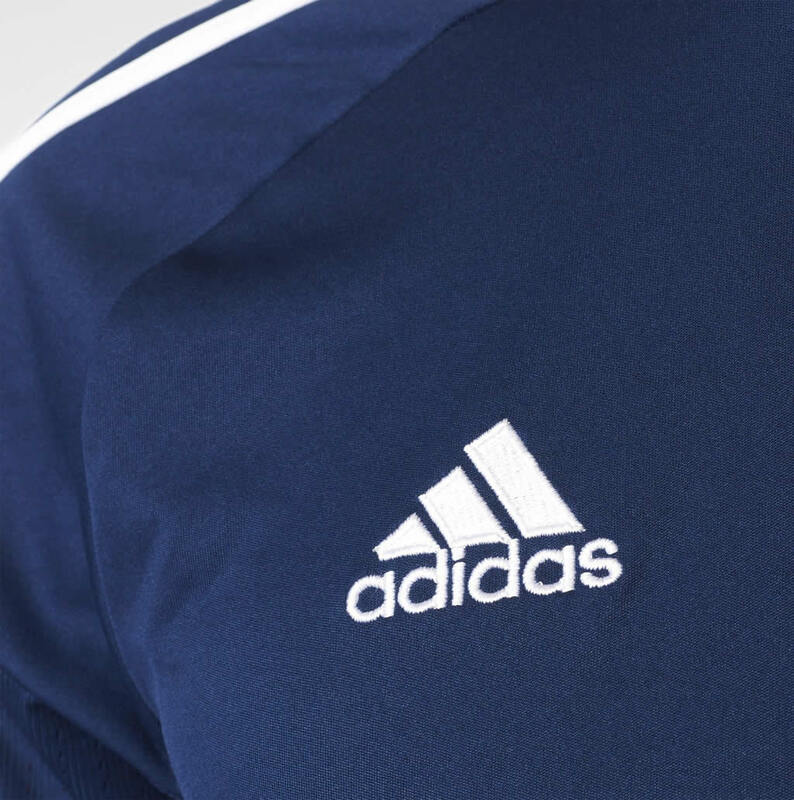 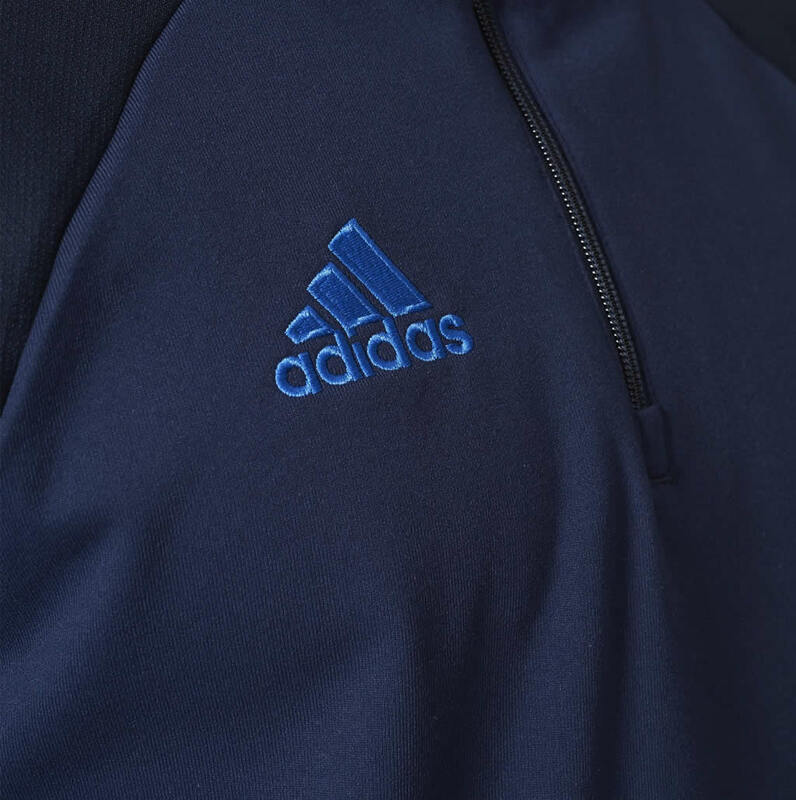 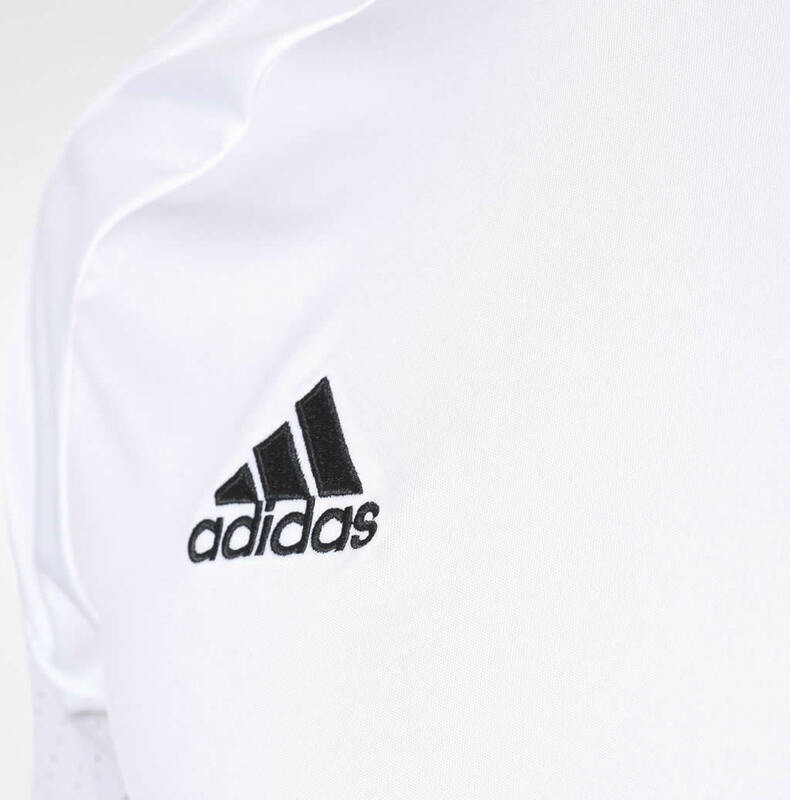 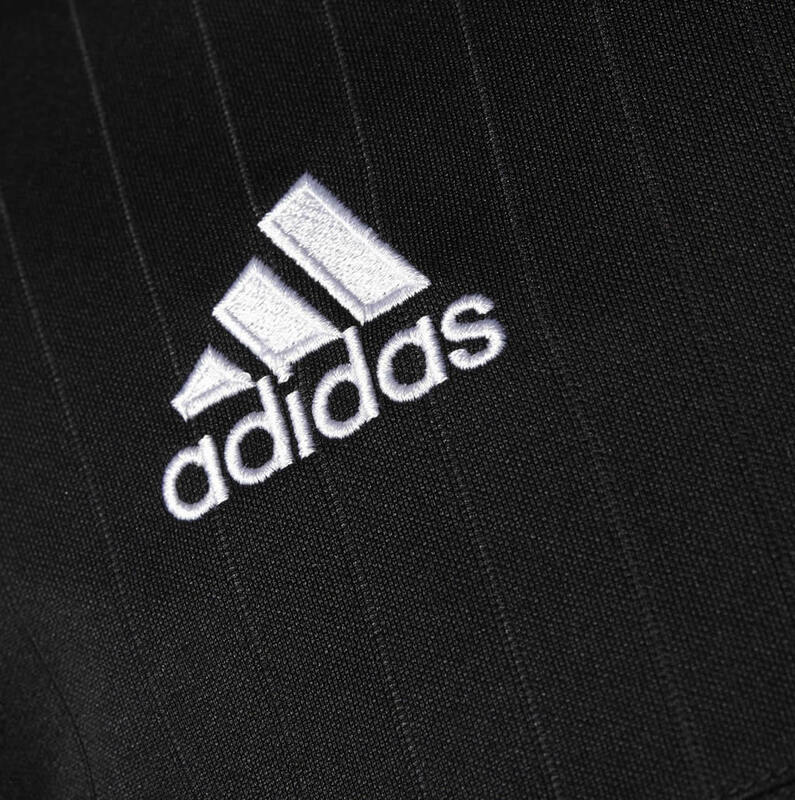 As part of adidas’ sustainable program, the jersey’s DRYDYE technology is able to dye fabric without using any water, which saves 6.6 gallons per t-shirt. 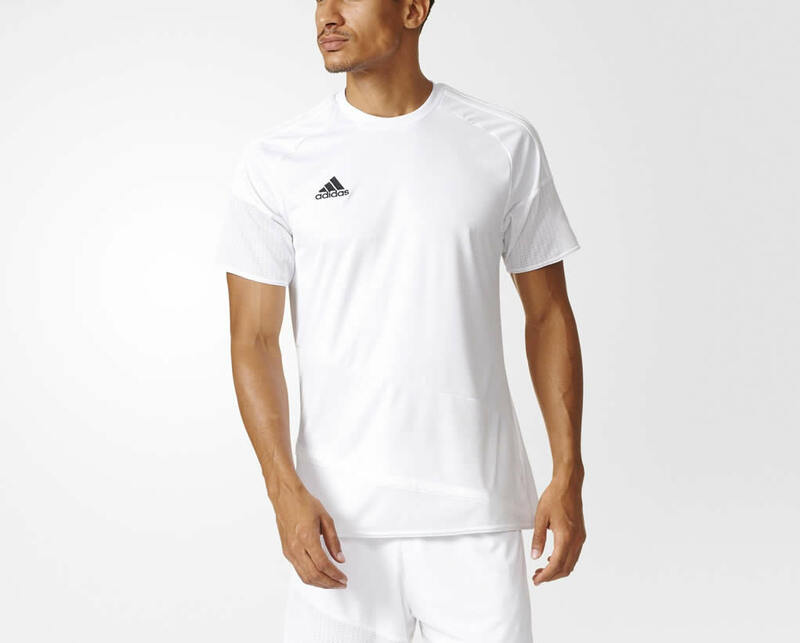 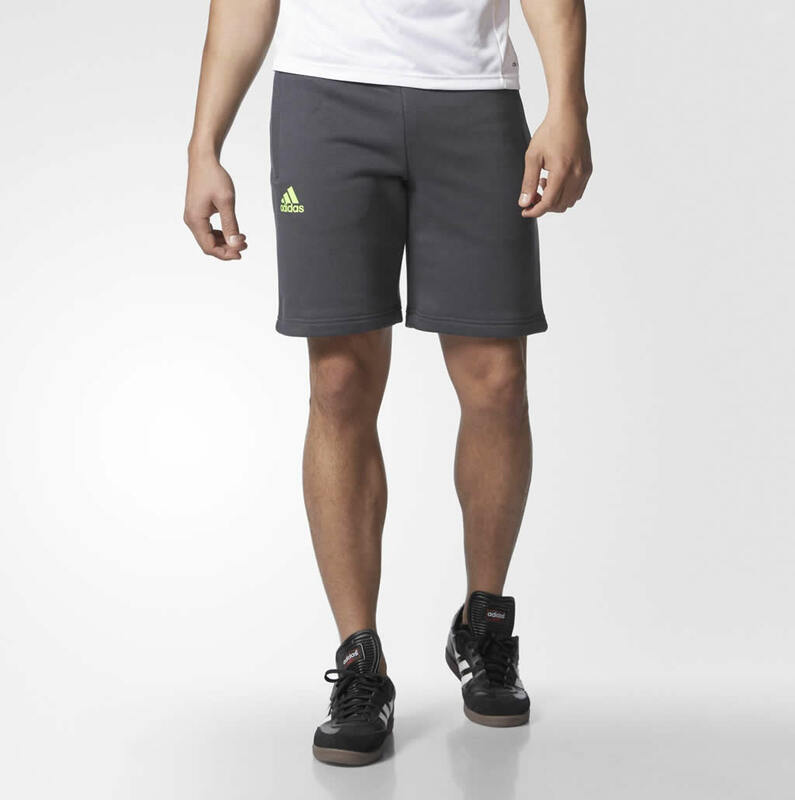 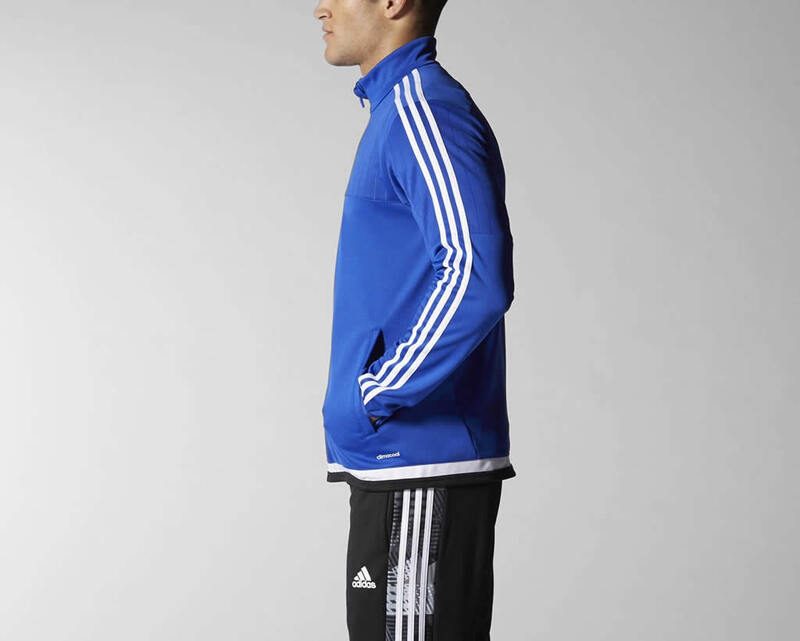 These adidas White Soccer Shorts are ideal if you’re looking to play or train comfortably during the cold season. 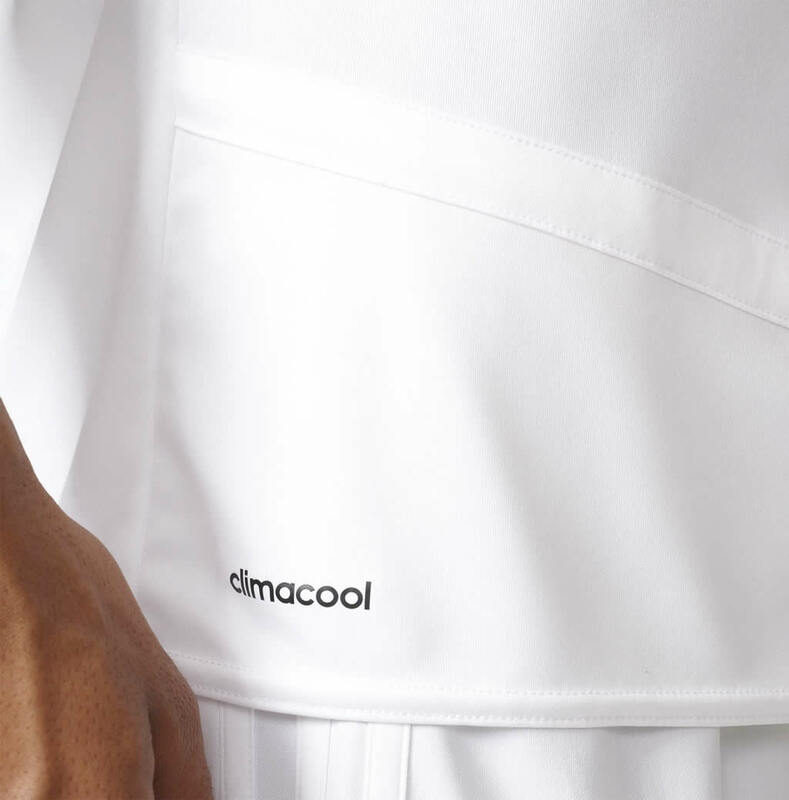 We’re talking about the Messi Shorts, which feature a 9” inseasm as well as a drawcord on an elastic waist, front zip pockets, a welt pocket on the back right side, and a flattering slim fit. 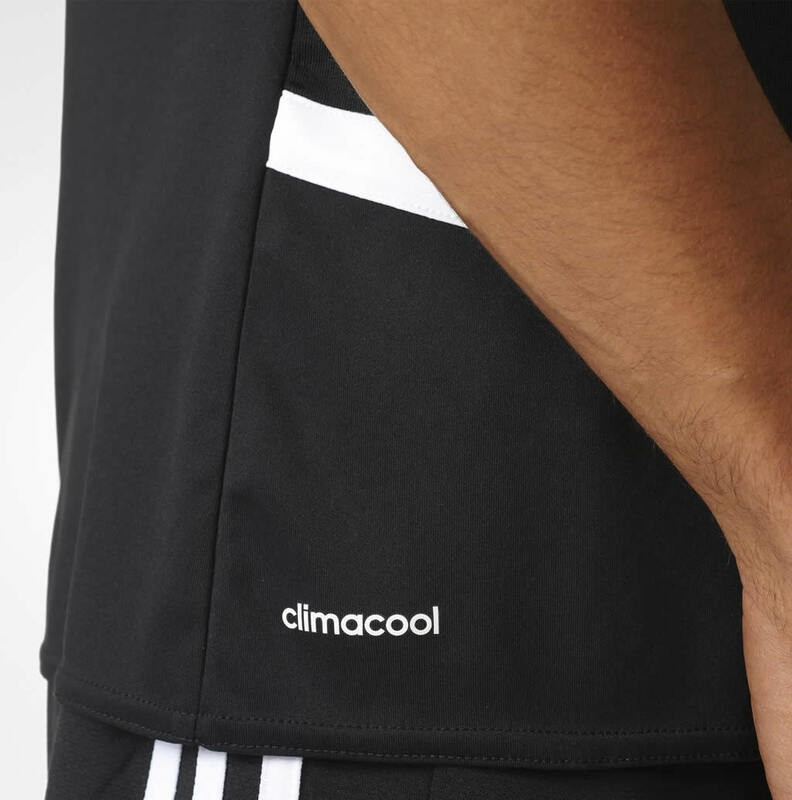 The shorts were put together using a mix of 70% cotton and 30% polyester fleece, and they were inspired by one of the greatest soccer players of our times, Lionel Messi. 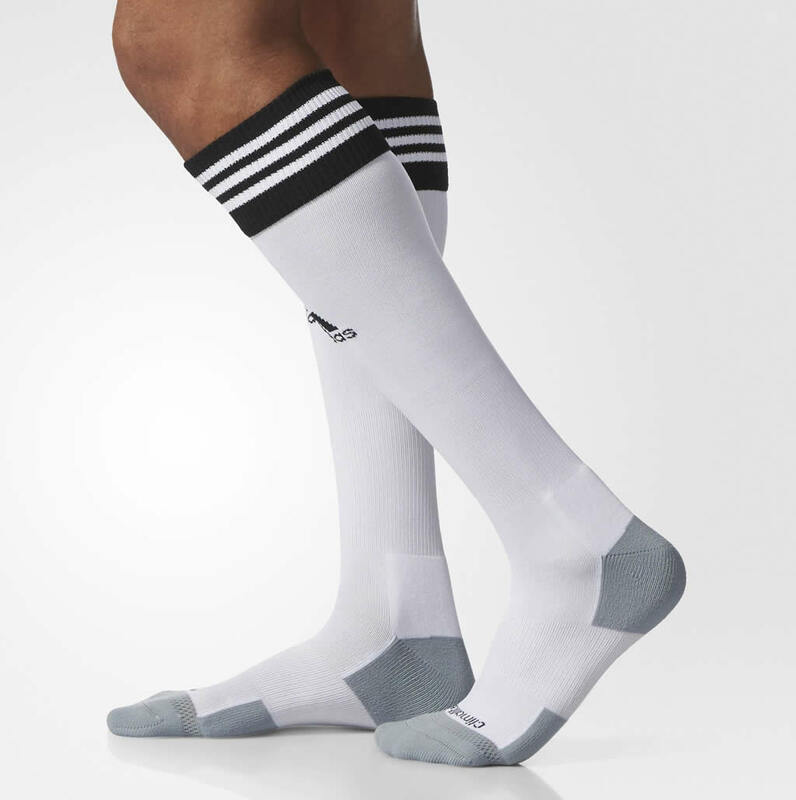 You just can’t beat the comfort of the Copa Zone Cushion socks by adidas, and that’s why we just had to include them in our list. 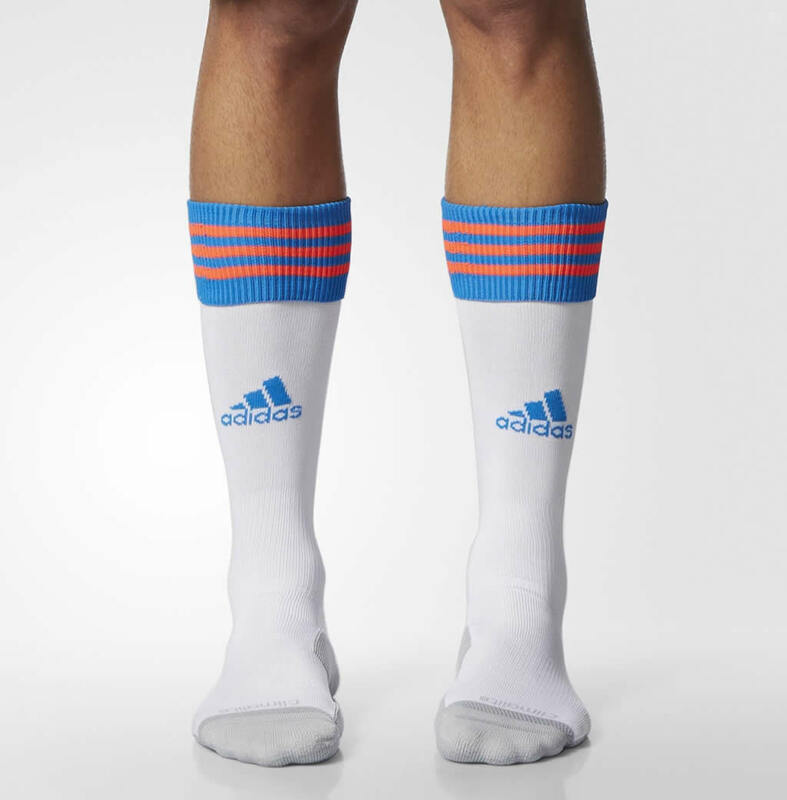 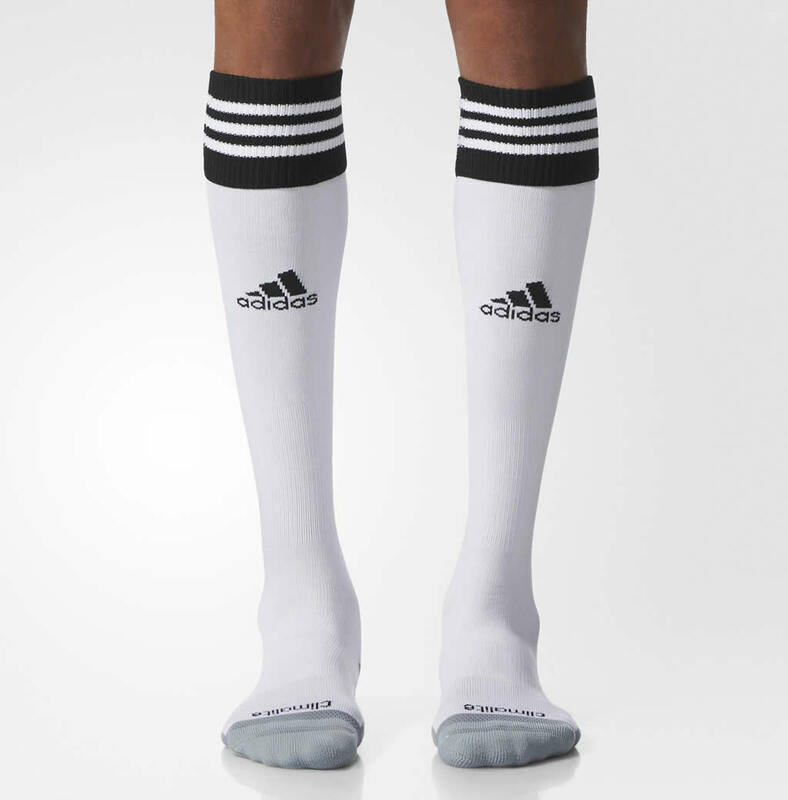 Available in White, White/Black and Black/White, these socks incorporate the famed adidas climalite fabric, which pulls sweat away from the wearer’s skin. 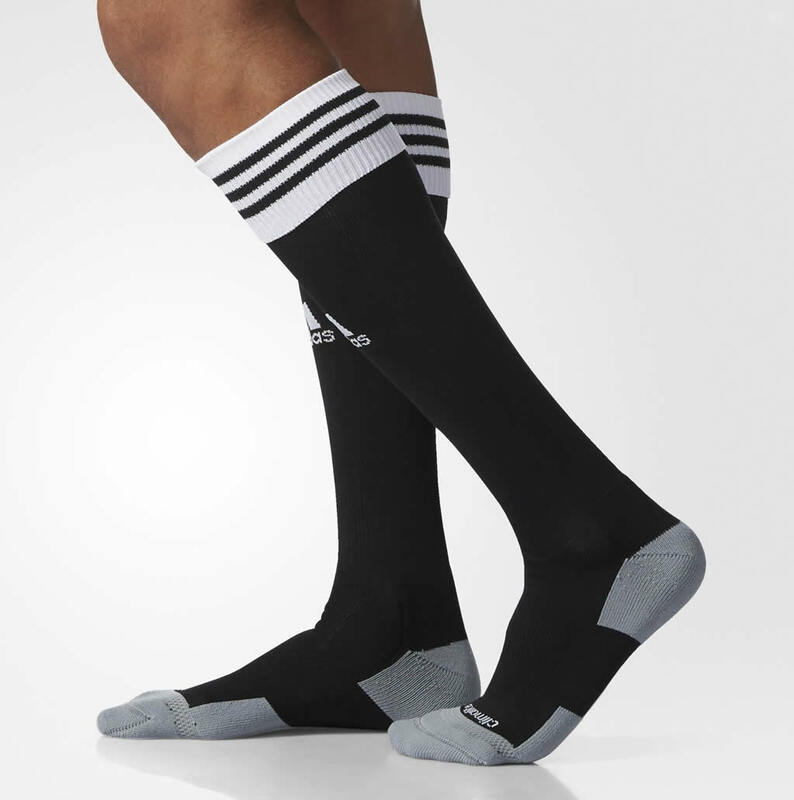 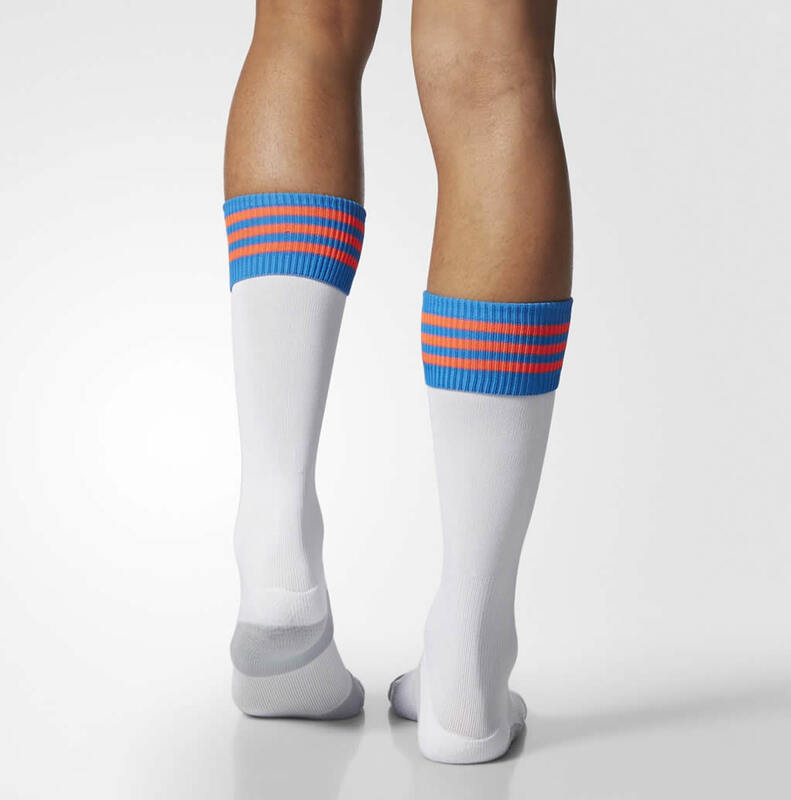 These socks further incorporate a toe-cooling area, as well as targeted cushioning for superb shock absorption complemented by compression in the ankle and arch area. 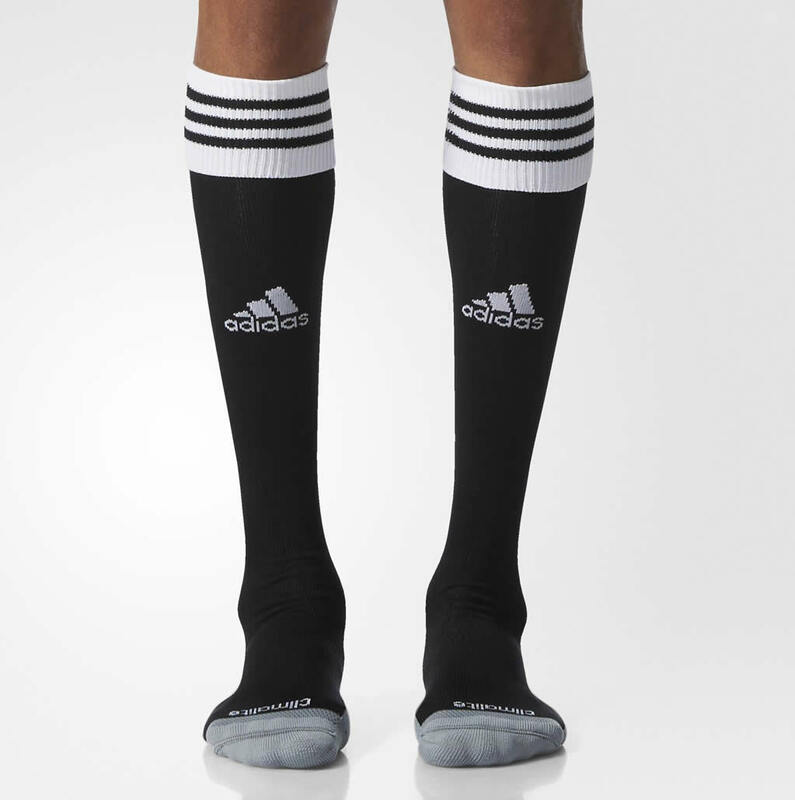 They were created using a combination of nylon and elastane, which is pretty much ideal when it comes to soccer gear. 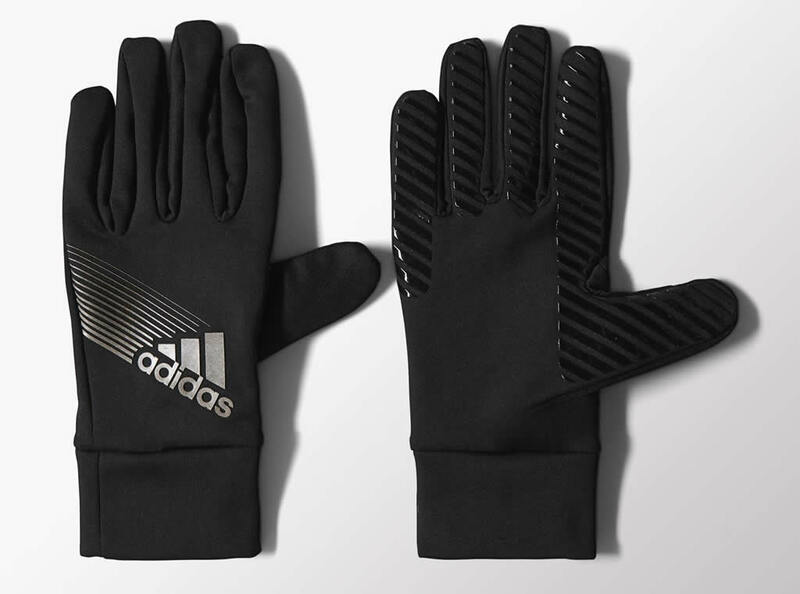 The Field Player Climaproof gloves by adidas are simply exceptional, no doubt about it. 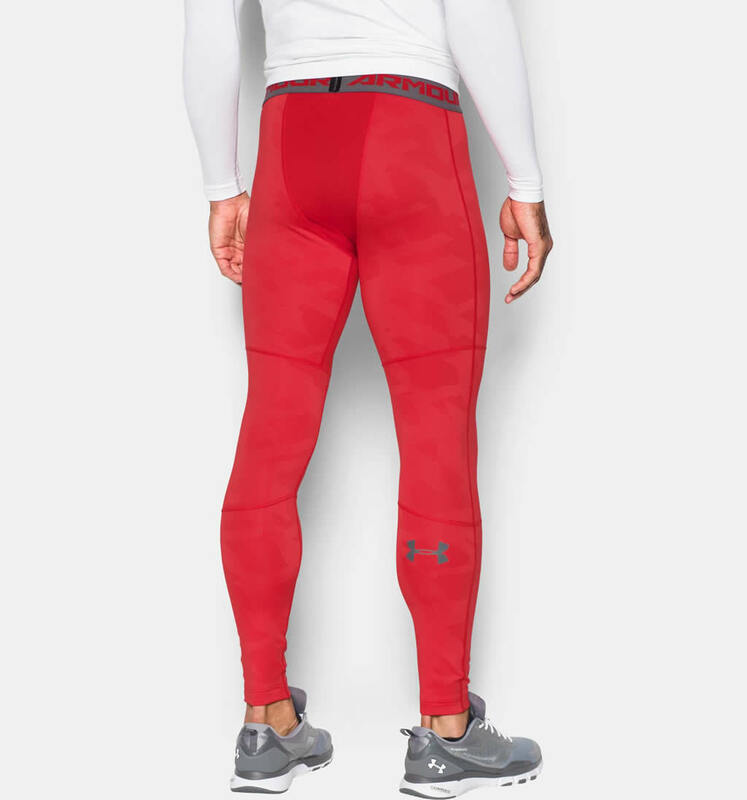 They were designed to help you perform at your best during unwelcoming weather conditions, which is why they were created using breathable climaproof weather protection technology. 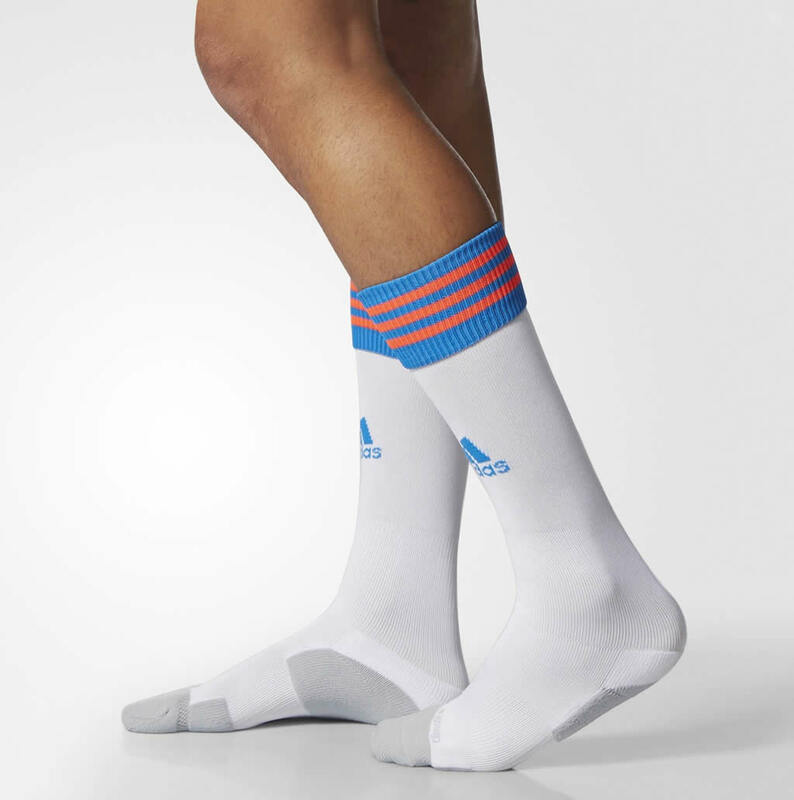 They offer improved grip on the finger and throw-in areas, while a double elastic guarantees a fantastic wrist fit. 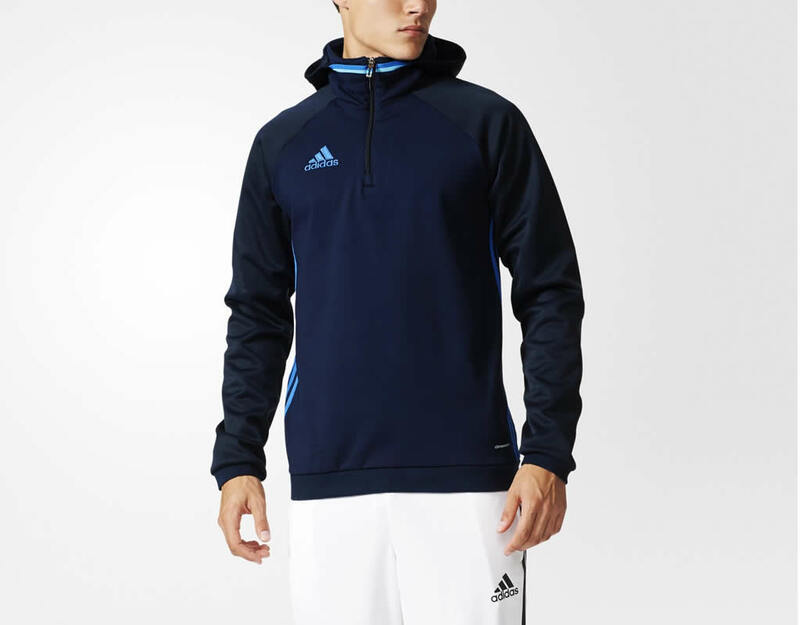 As for the material composition, it includes 93% polyester and 7% elastane fleece. 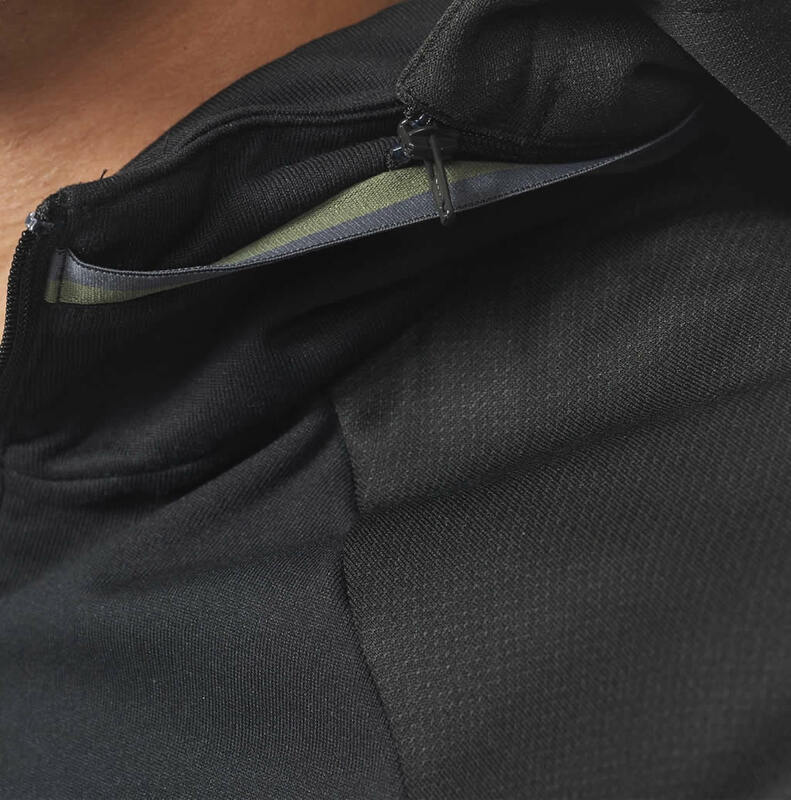 You won’t get far in your training sessions if the cold keeps nipping away at your ears. 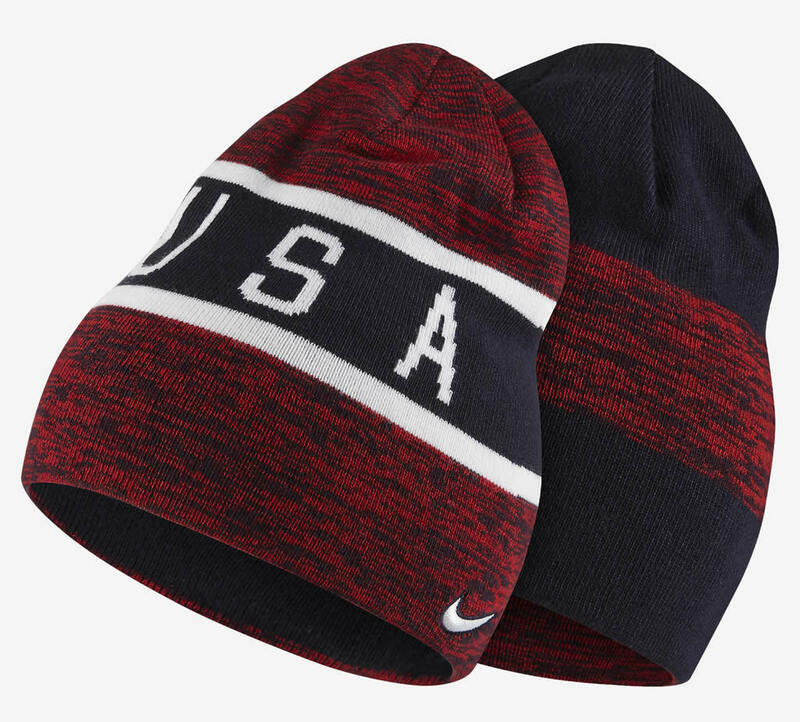 That’s why you’ll need a reliable knit beanie such as the U.S Reversible by Nike, which comes in an eye-catching University Red/Obsidian/White colorway. 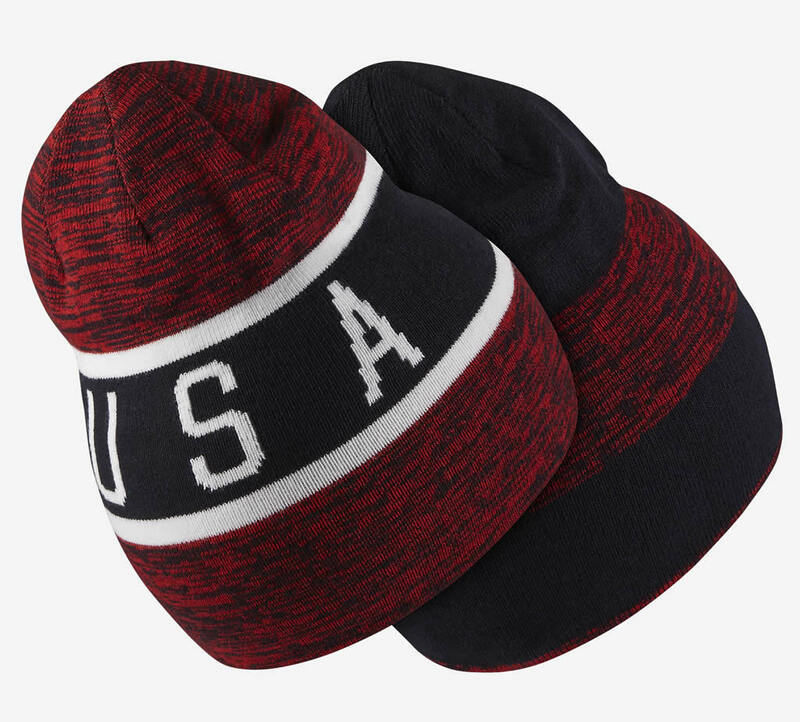 Created using 100% acrylic, this beanie features a stretch fabric for a snug, comfortable fit, as well as a double-layer knit that keeps warmth in. 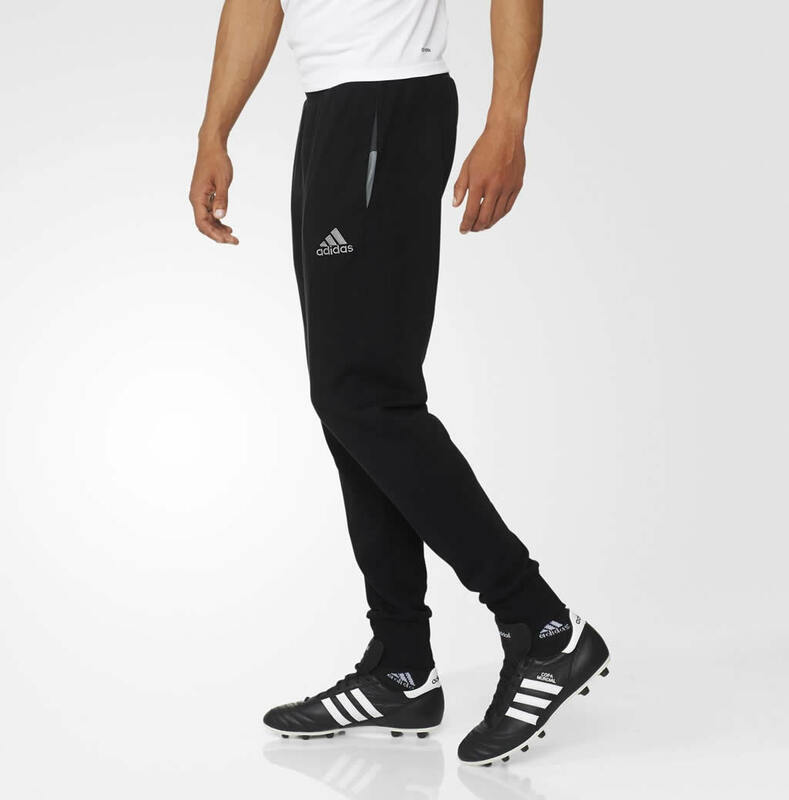 No proper soccer outfit is complete without a good old pair of pants. 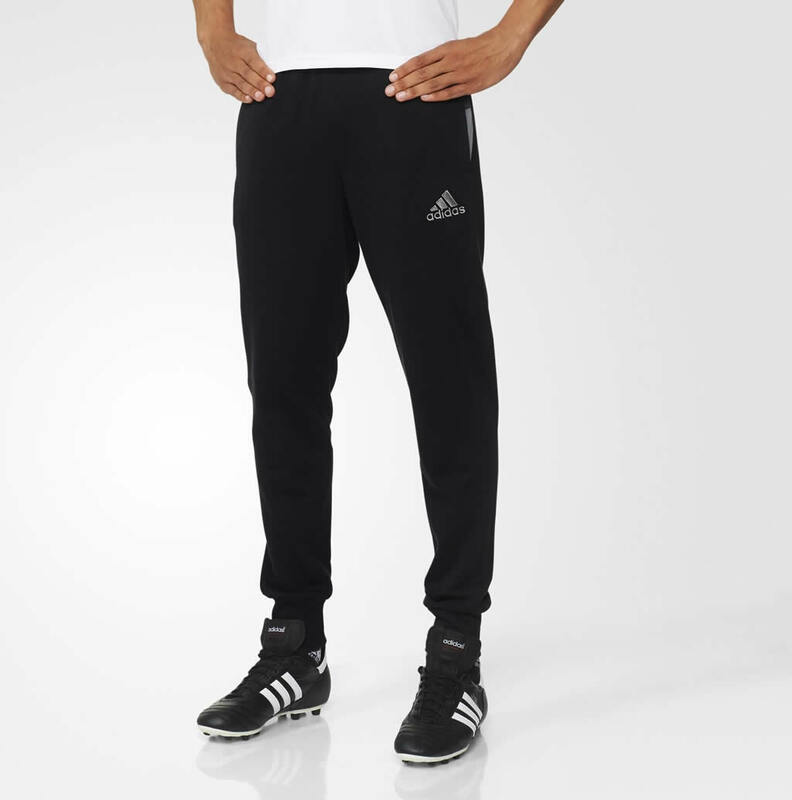 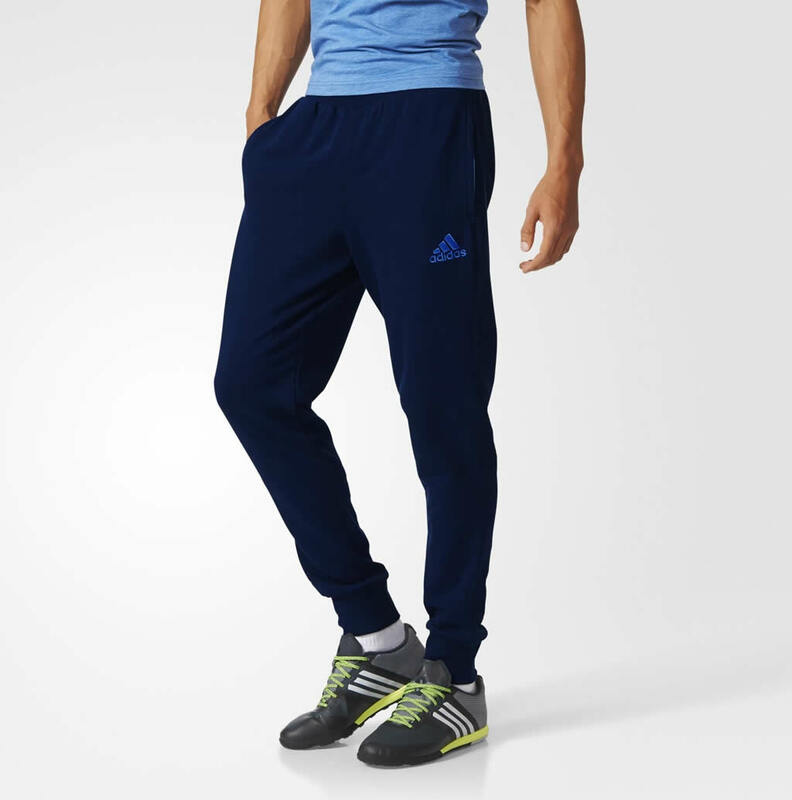 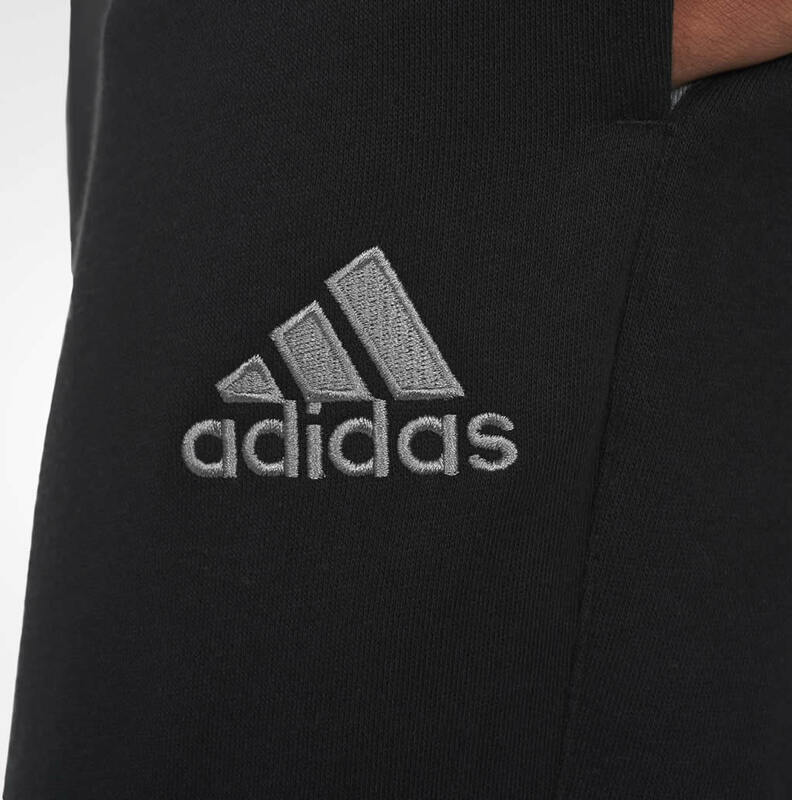 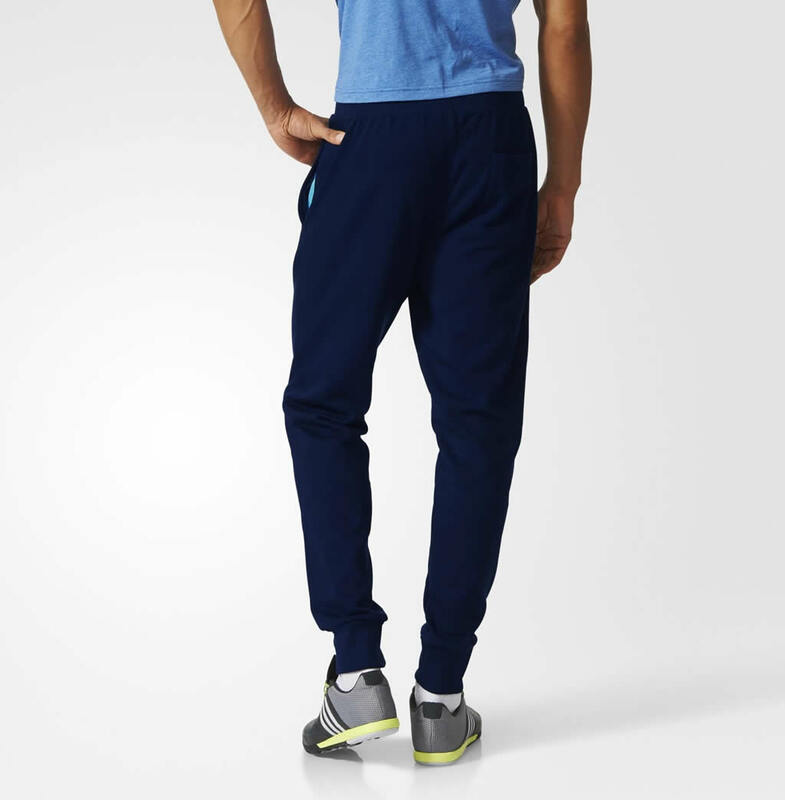 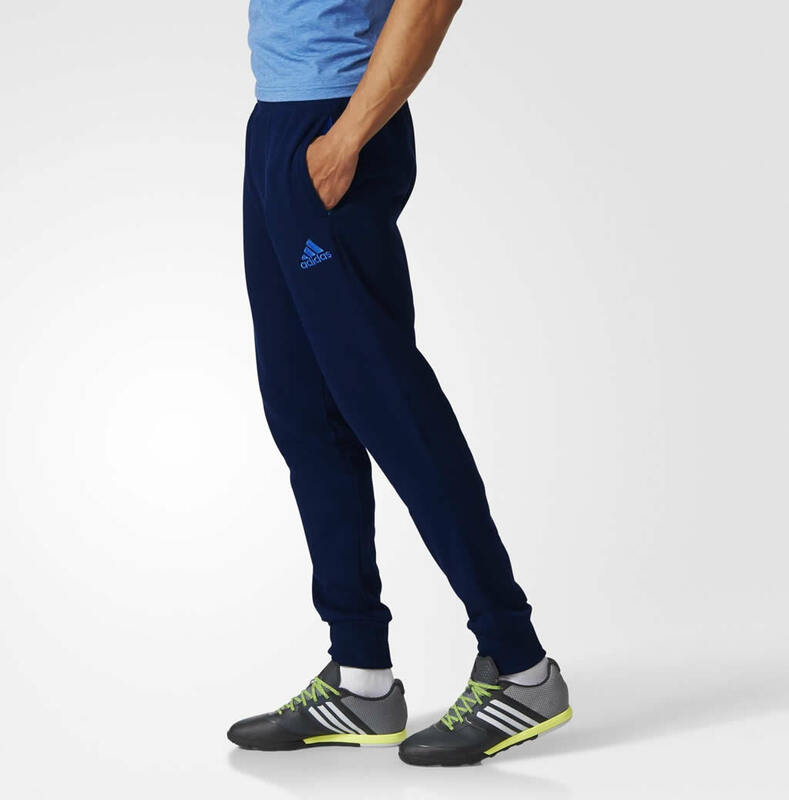 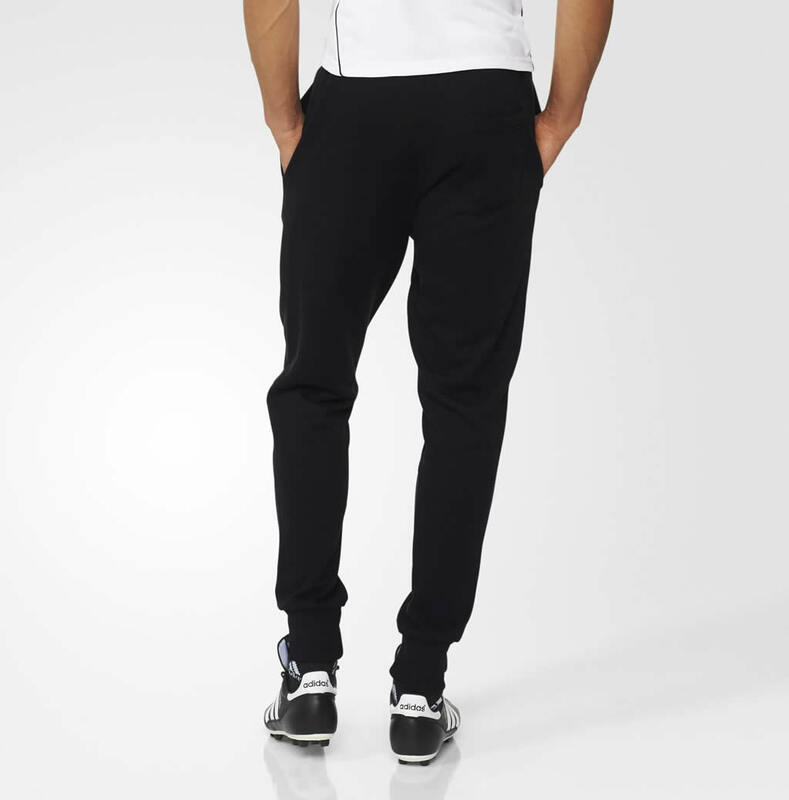 Adidas offers the Condivo 14 Sweat Pants, which feature a 30.5” inseam, two side pockets, a single back patch pocket and a drawcord on an elastic waist. 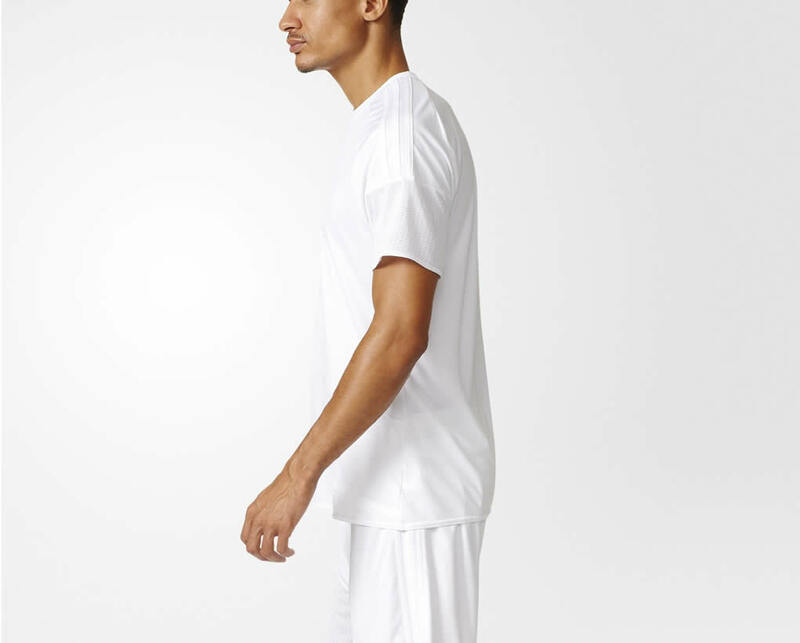 Other highlights include two subtle yet sporty colorways, ribbed cuffs and a material composition of 70% cotton and 30% polyester French terry. 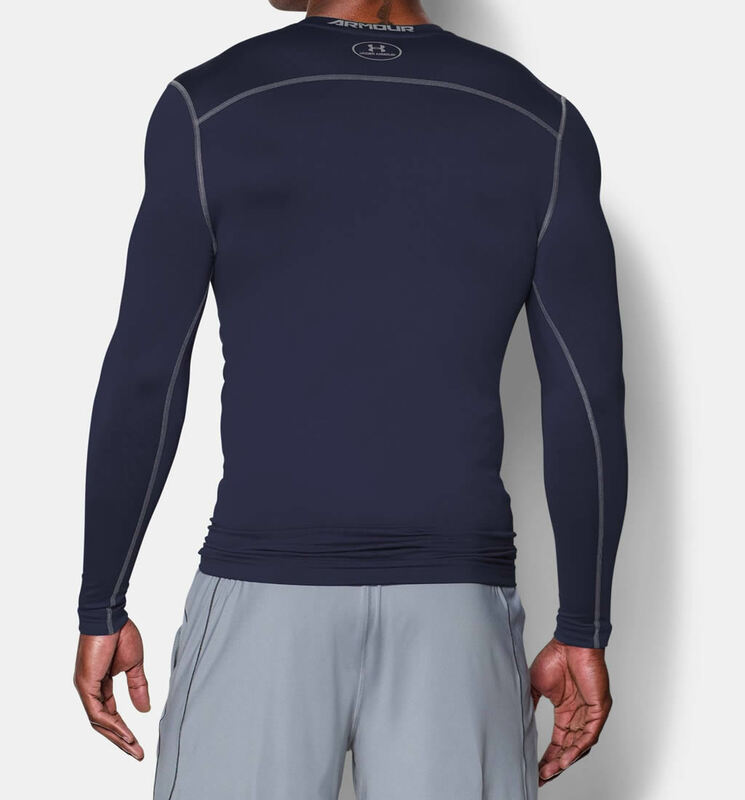 The colorways in question are Collegiate Navy and Black. 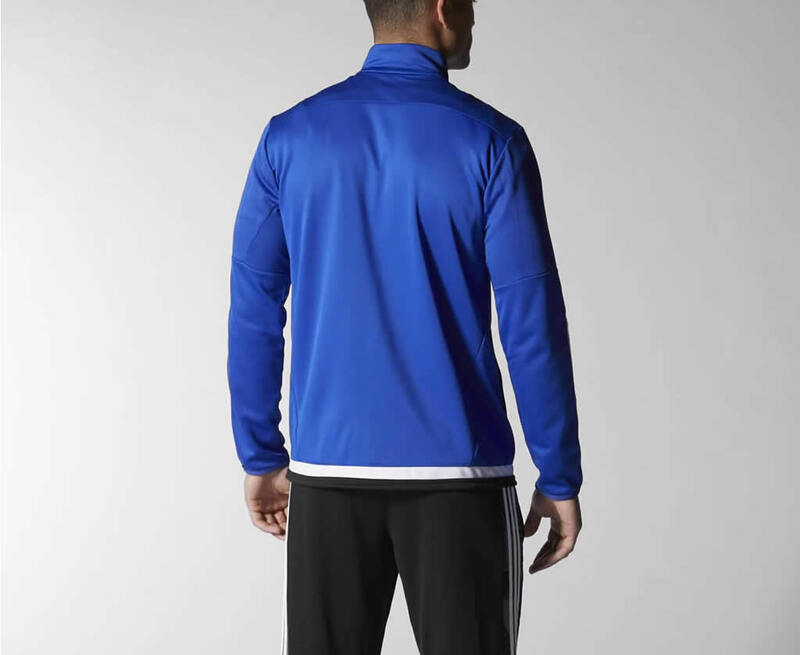 The Tiro 15 men’s soccer jacket was designed with training in mind, and it comes in a Bold Blue or Black colorway. 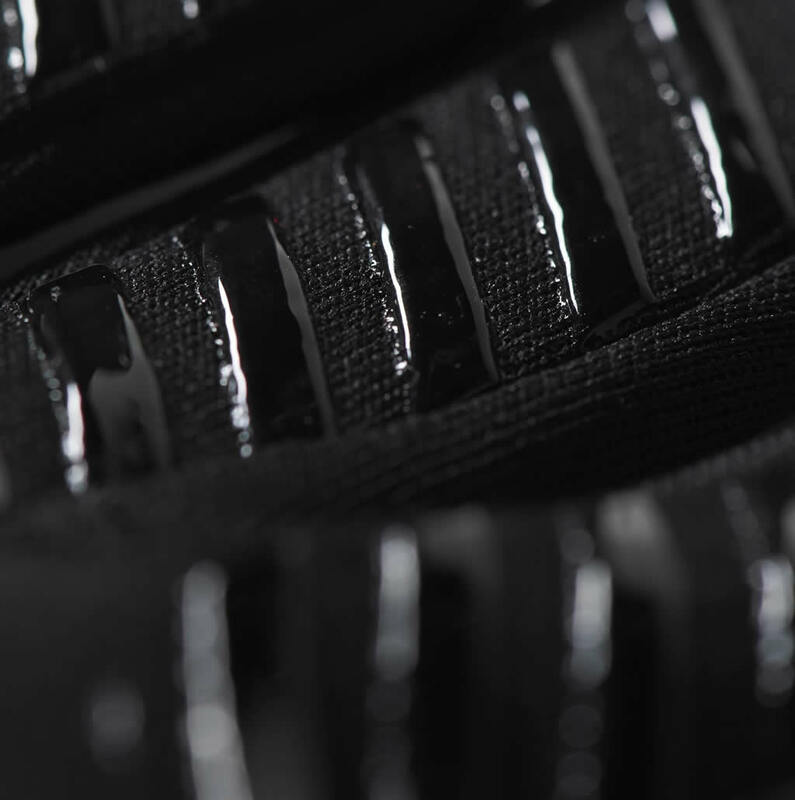 Both versions include ventilated climacool tech as well as zip pockets, an elastic binding and a full zip with a stand-up collar. 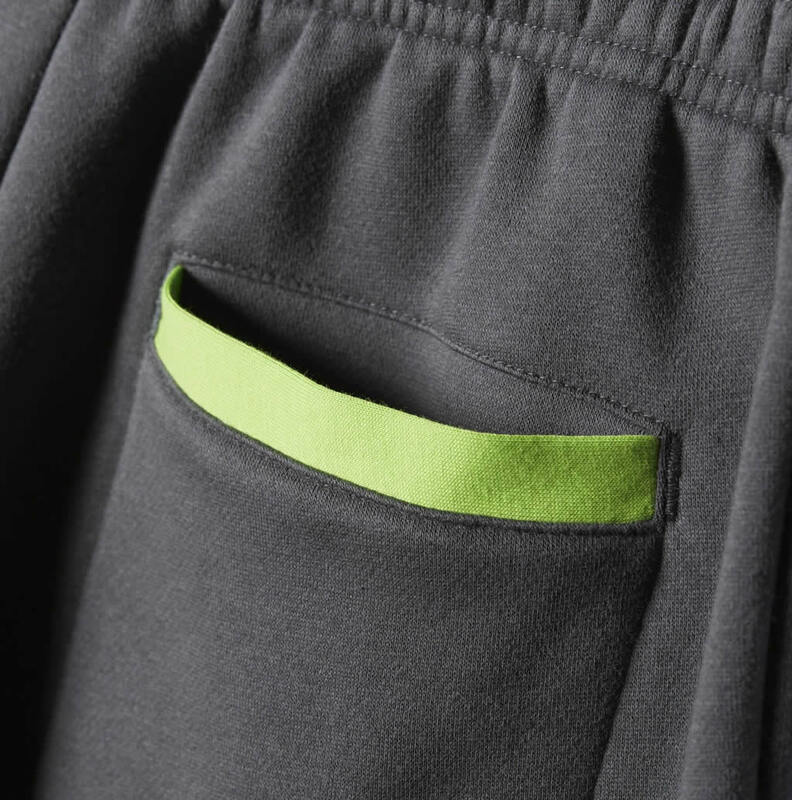 The product was manufactured using 100% polyester doubleknit, and its design includes a drawcord on the hem. 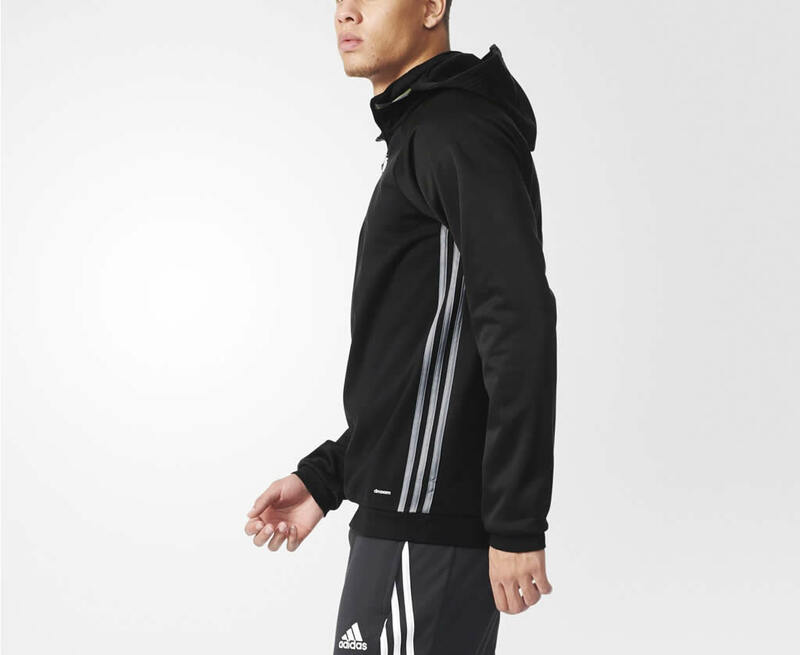 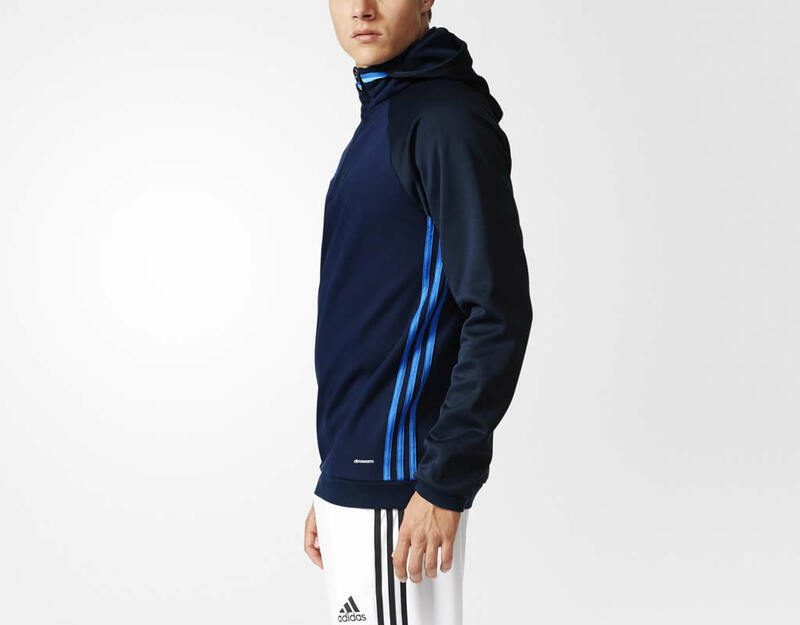 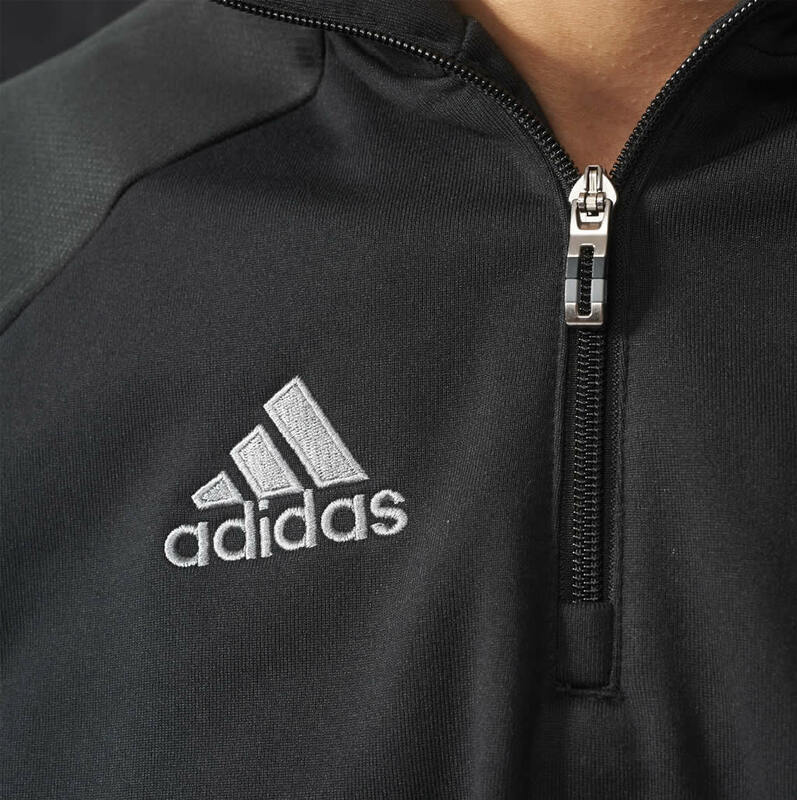 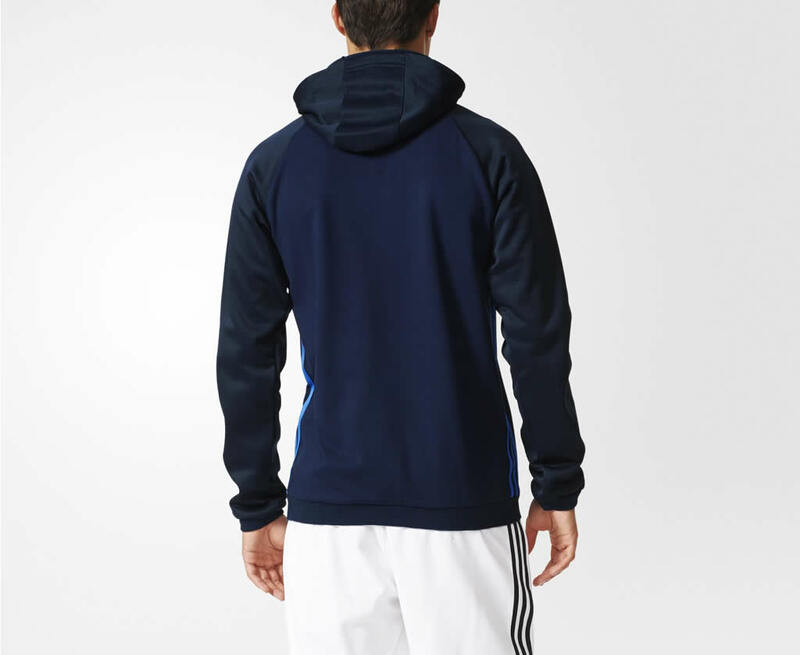 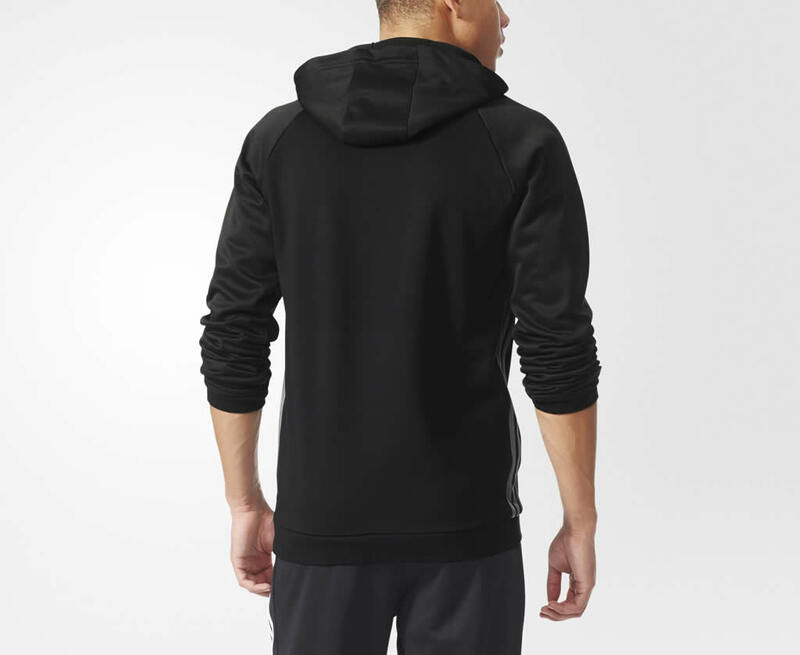 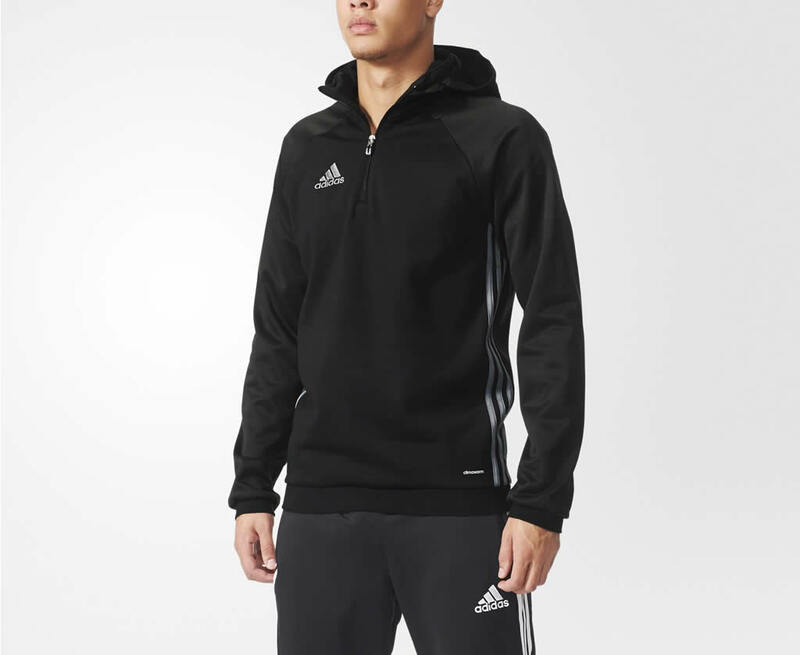 When the weather gets really bad, the Condivo 16 Fleece hoodie by adidas is there to keep you warm and comfortable so that you may carry on doing what you do best. 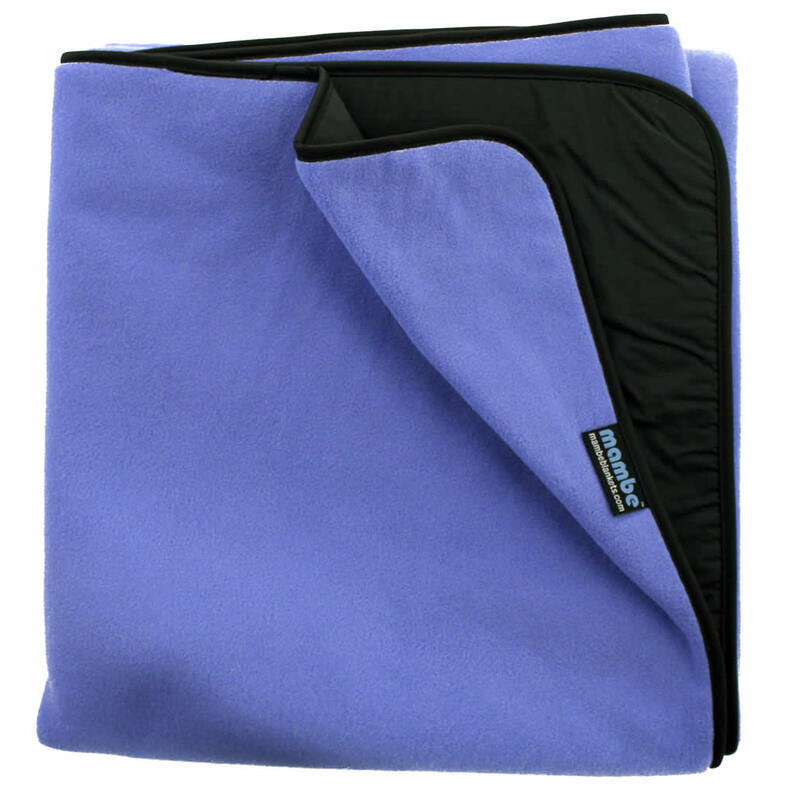 Available colors include Black/Vista Grey and Collegiate Navy/Blue, while the material composition is 100% polyester polar fleece. 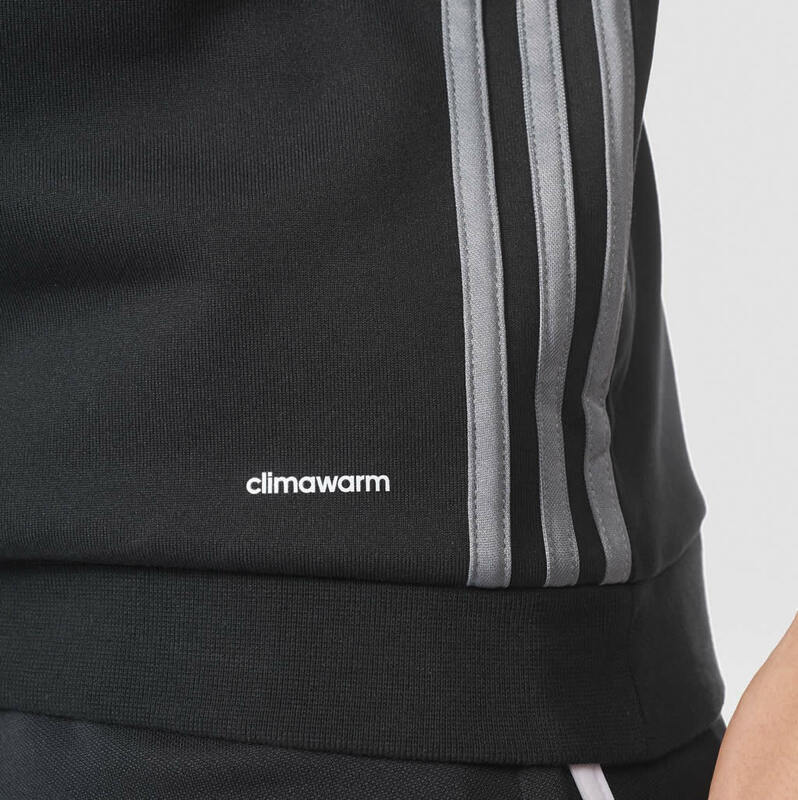 The most important thing about this hoodie is that it features breathable climawarm technology, which was created specifically to fend off the cold. 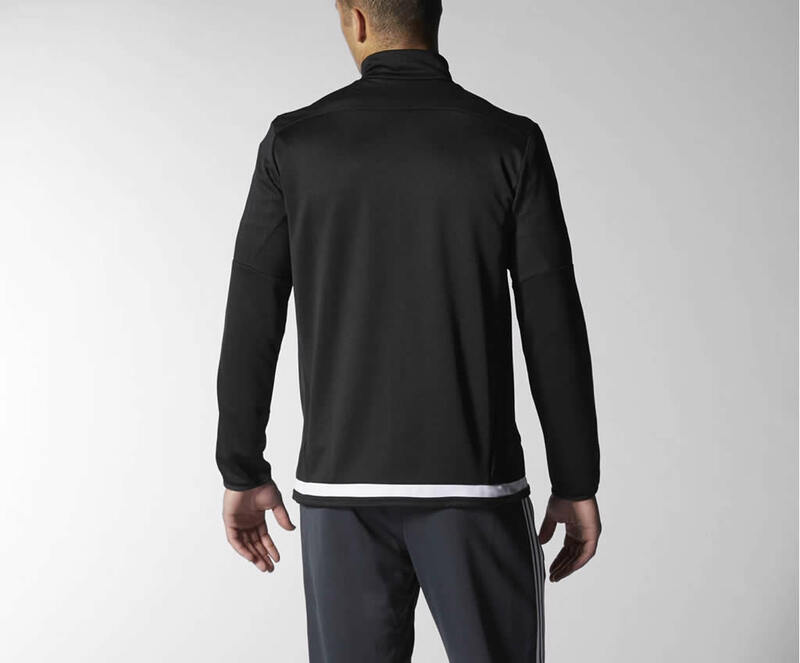 We should also mention the ribbed cuffs and hem, the raglan sleeves, the detachable hood and the quarter zip that complements the stand-up collar. 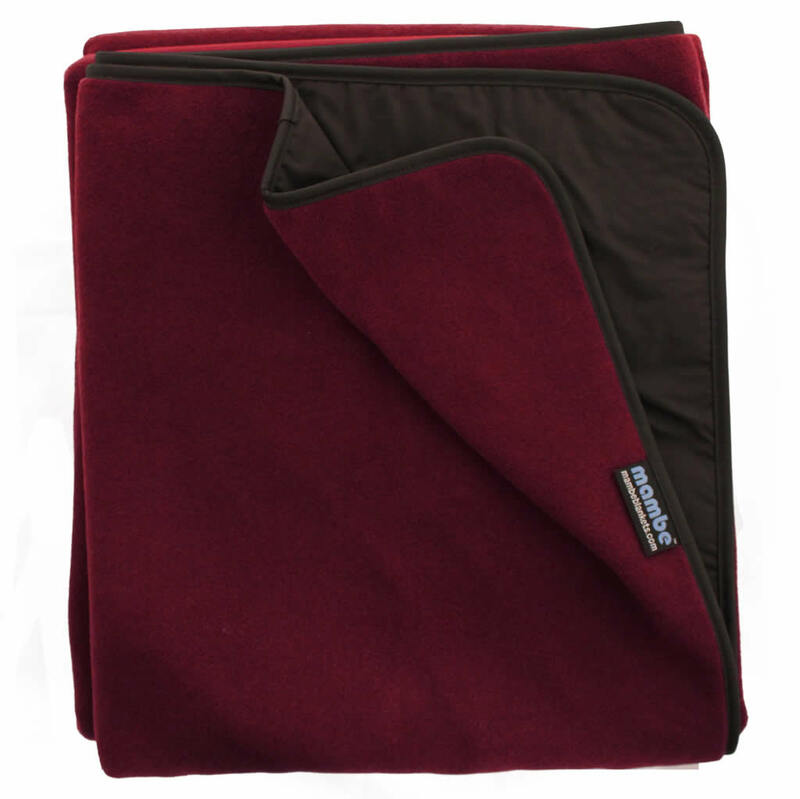 When all else fails, a good blanket can usually help you stay warm, especially when you’re being sidelined or when you’re simply looking to rest a bit on the bench. 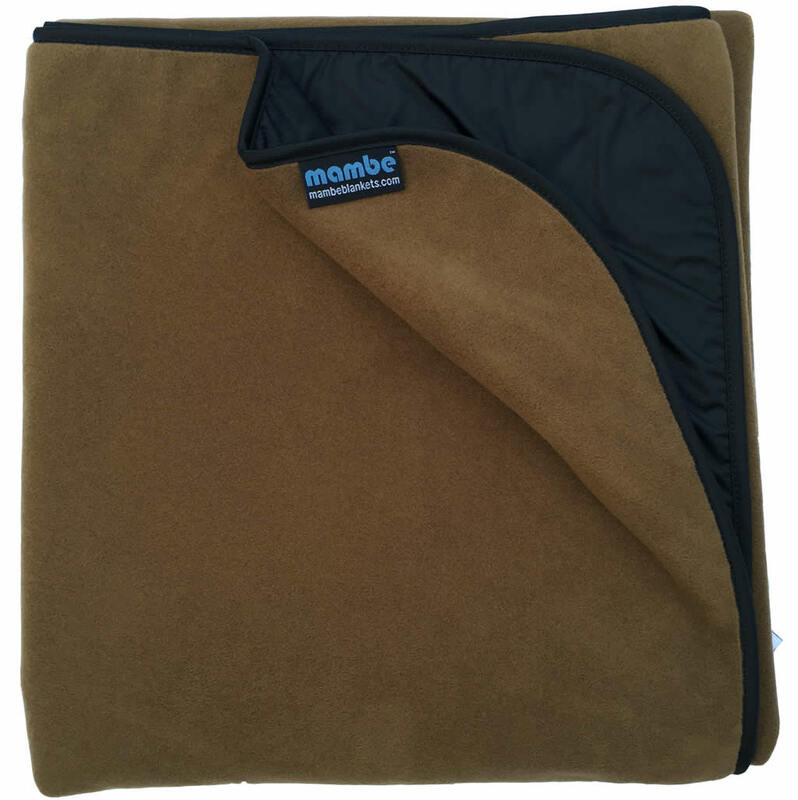 The Extreme Weather Blanket by Mambe comes in a variety of colorways such as Charcoal, Royal Plum, Coyote, Black and Burgundy, and what makes it truly stand out is that it is completely windproof and waterproof. 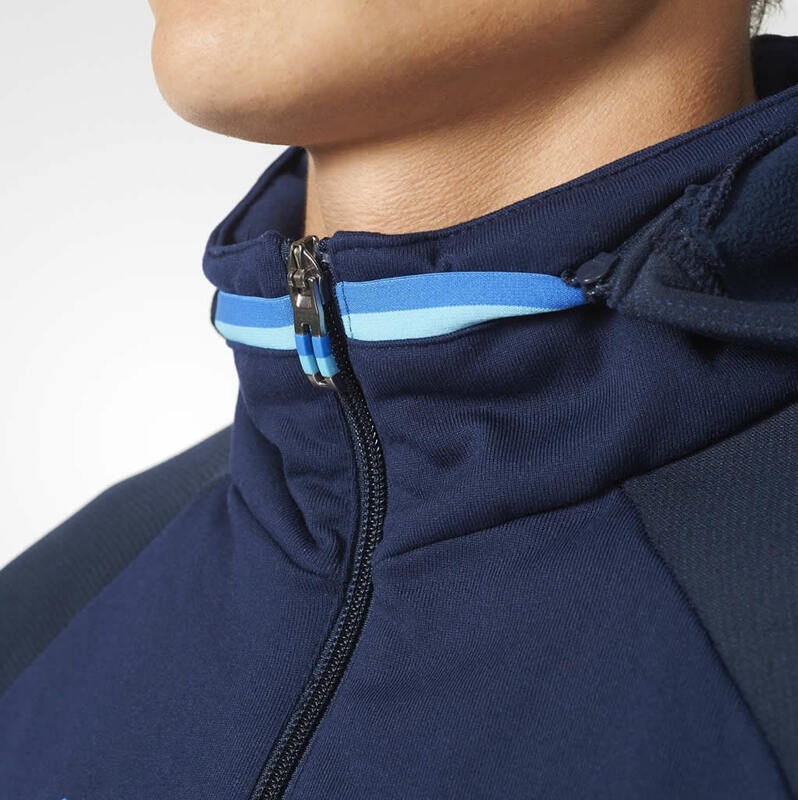 It was created using Polartec Classic 300 Fleece, and it flaunts a radiant heat-reflective lining. 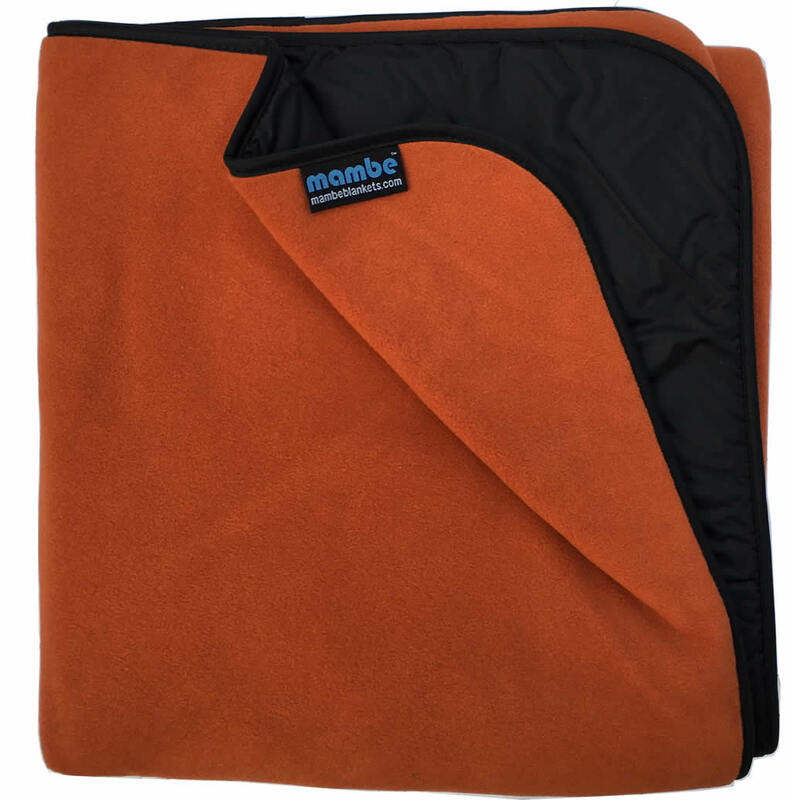 It is accompanied by a premium stuff sack, and it can be used as a stadium blanket or for camping trips. 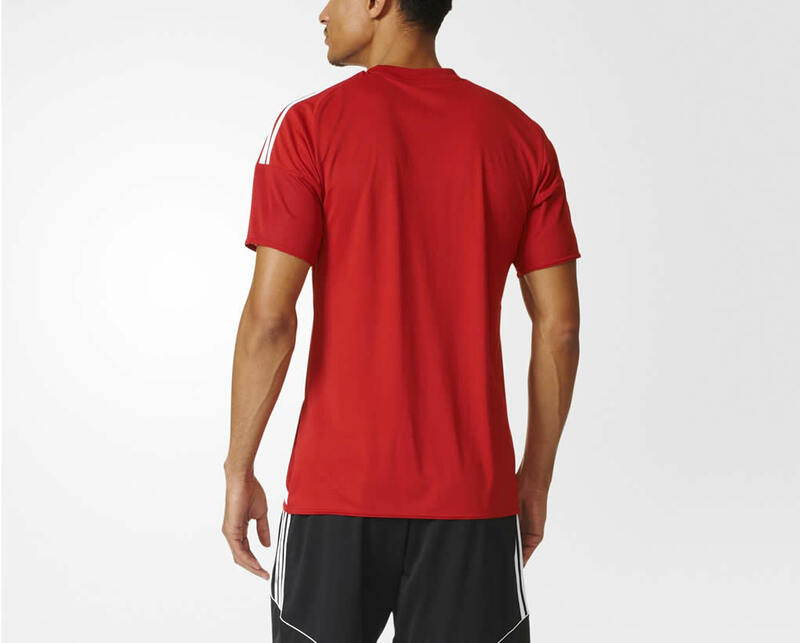 Available sizes include Large and Small, which spread out at about 58″ x 84″ and 48″ x 58″ respectively.